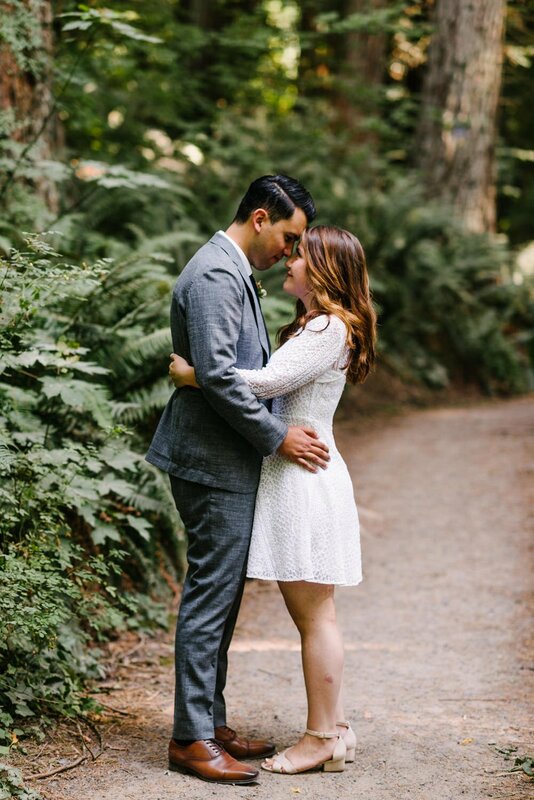 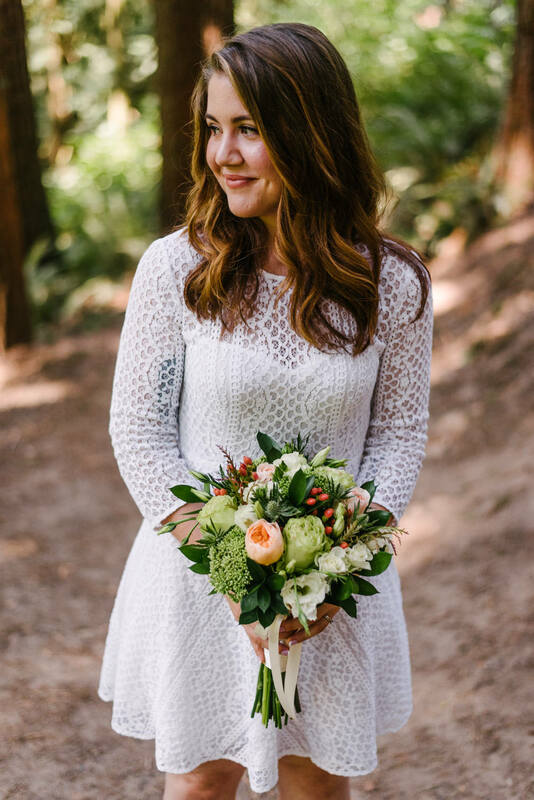 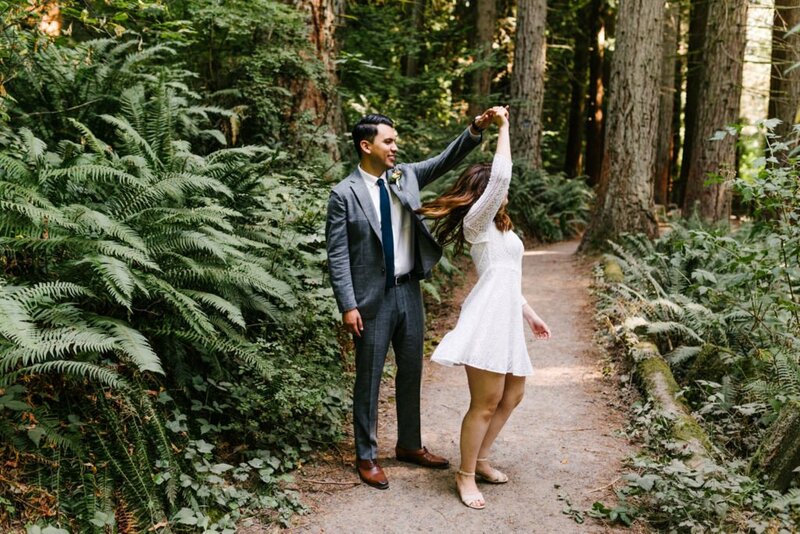 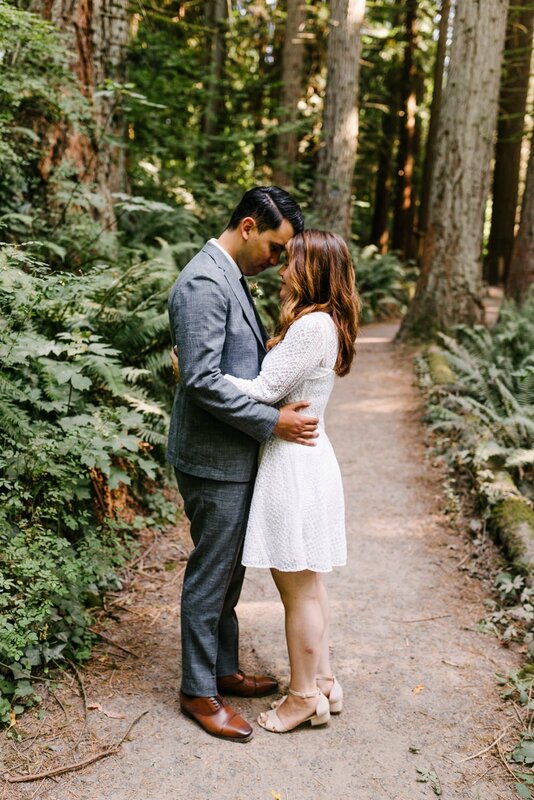 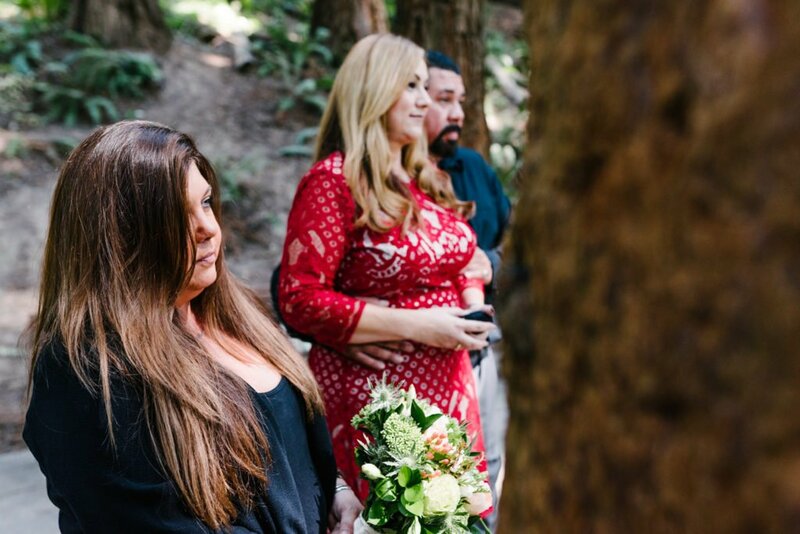 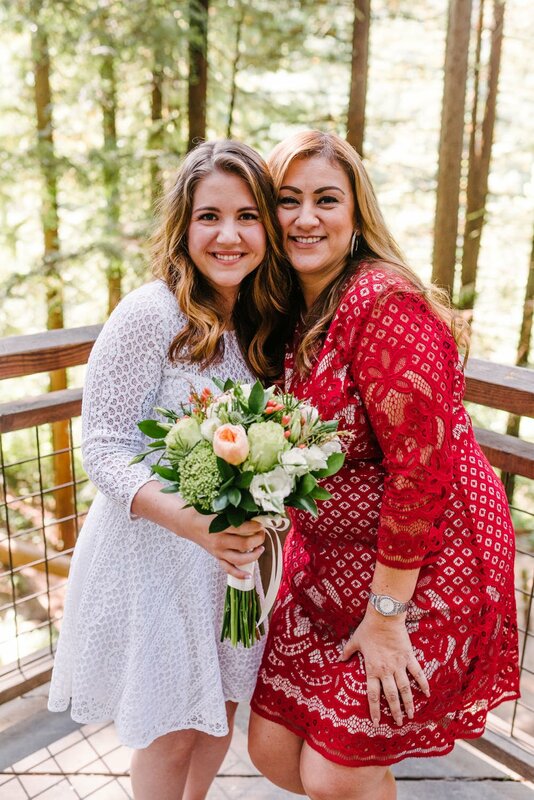 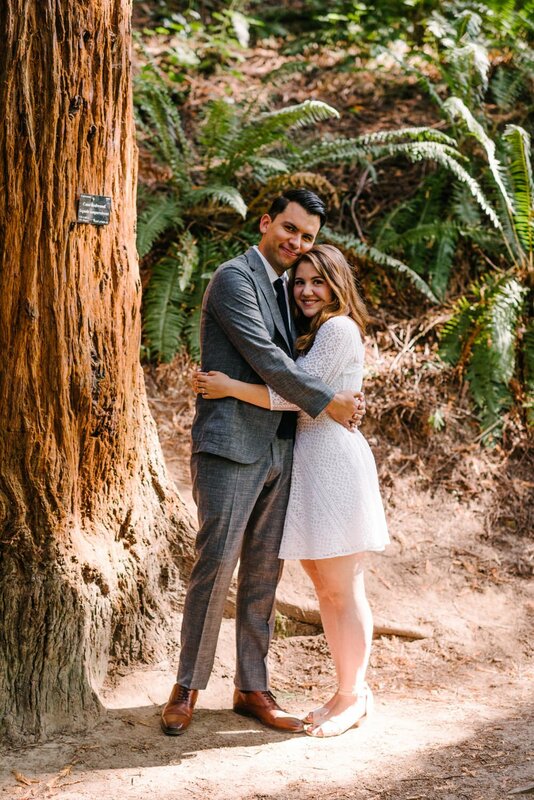 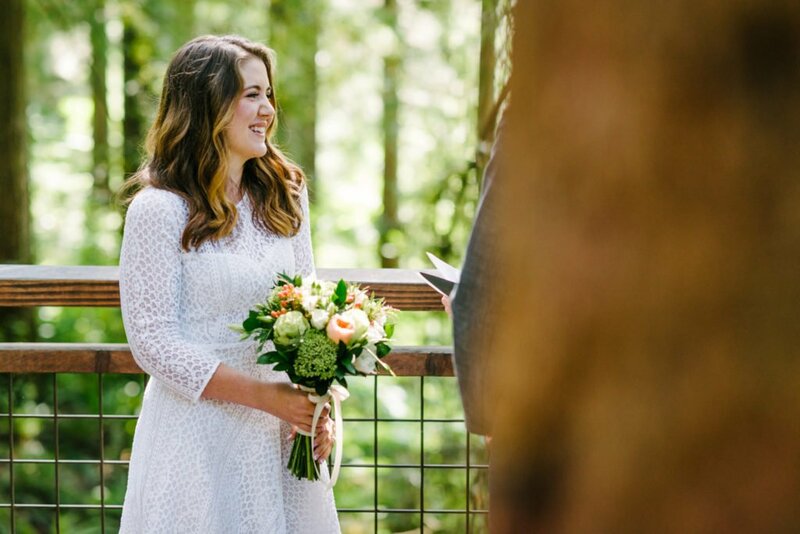 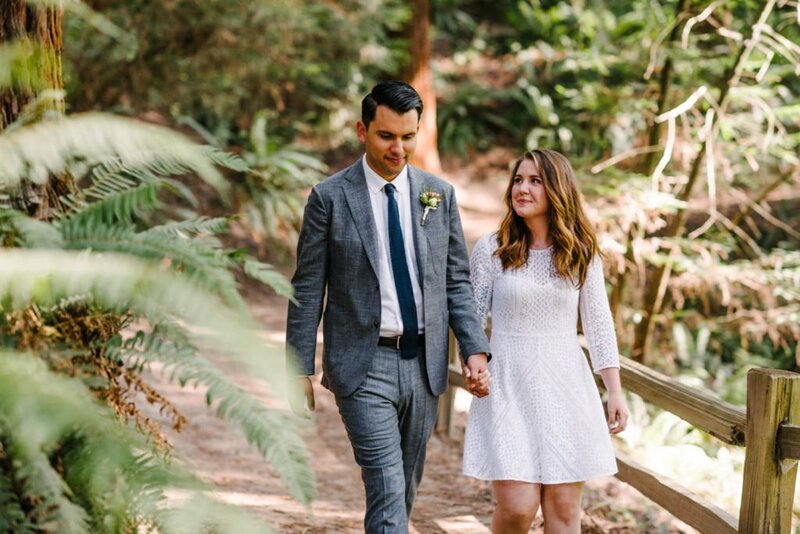 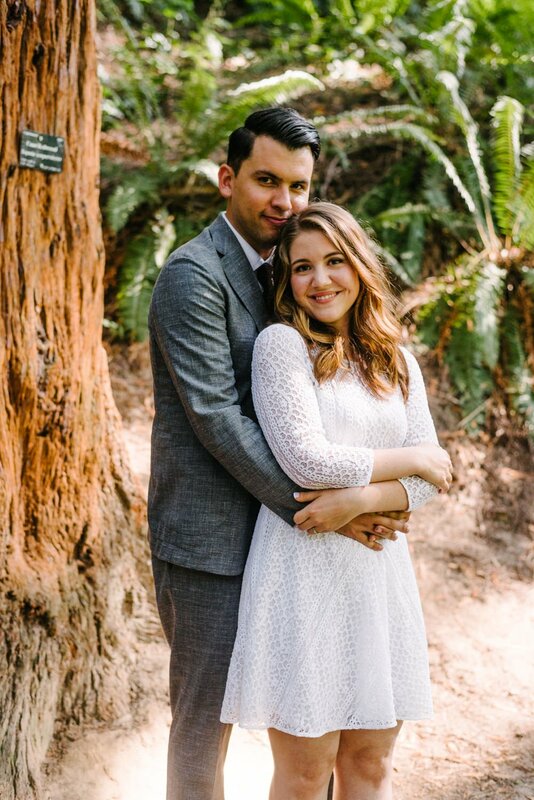 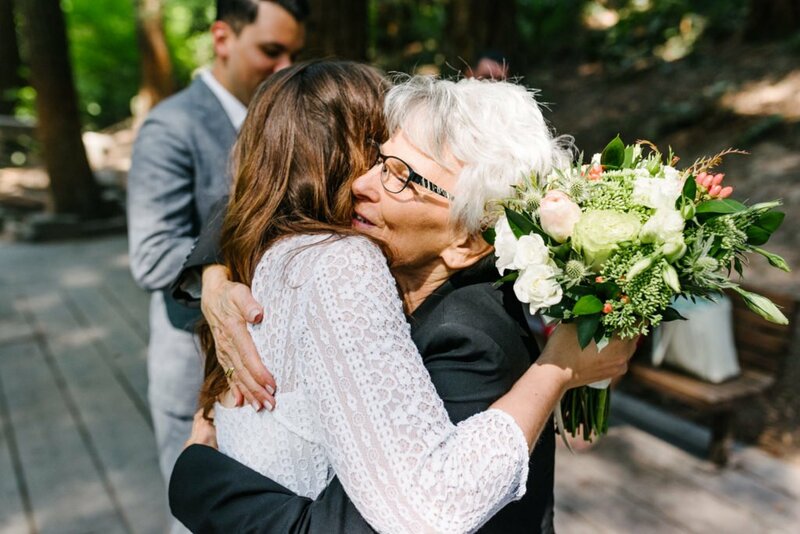 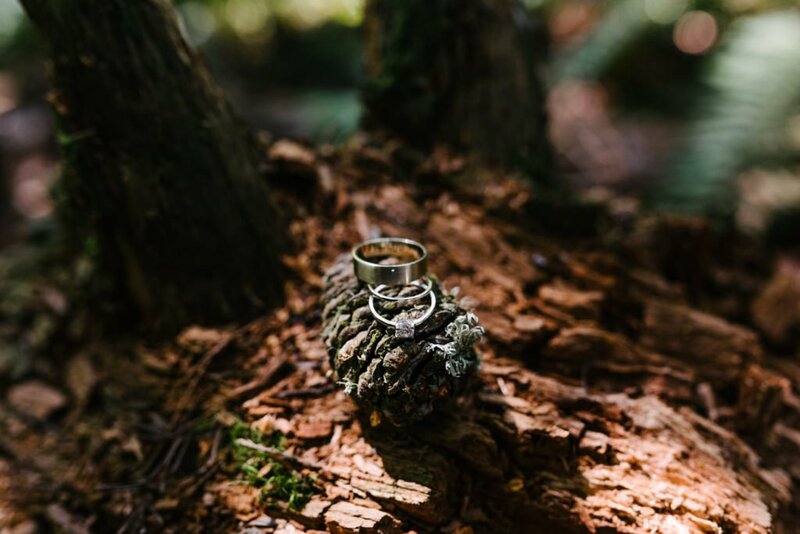 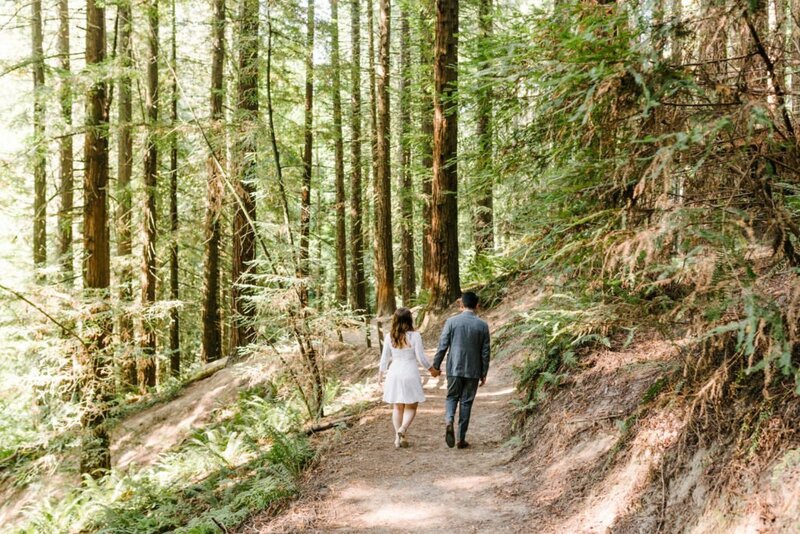 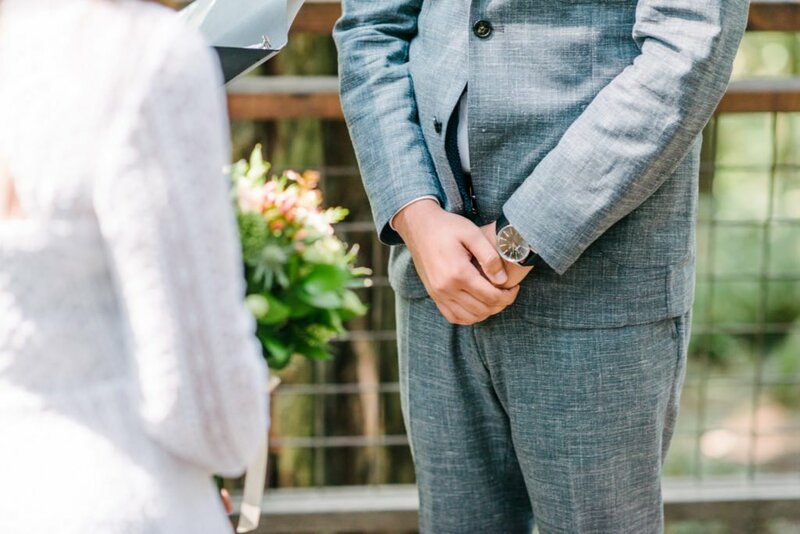 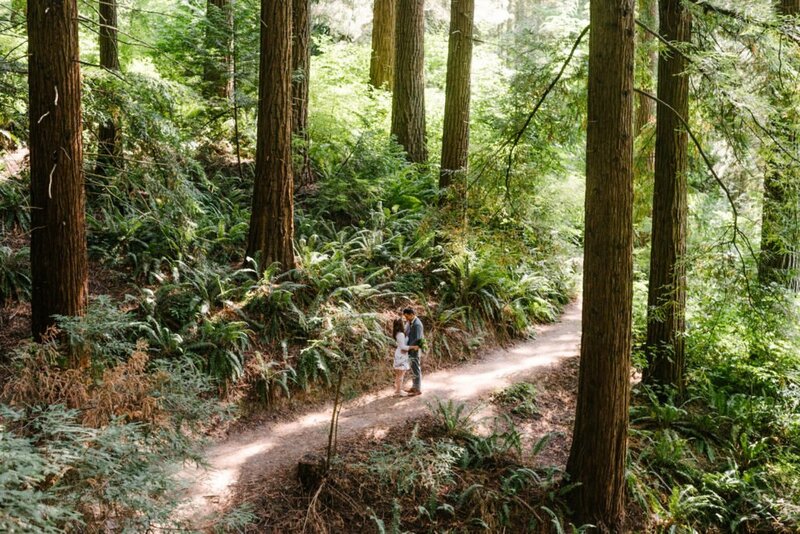 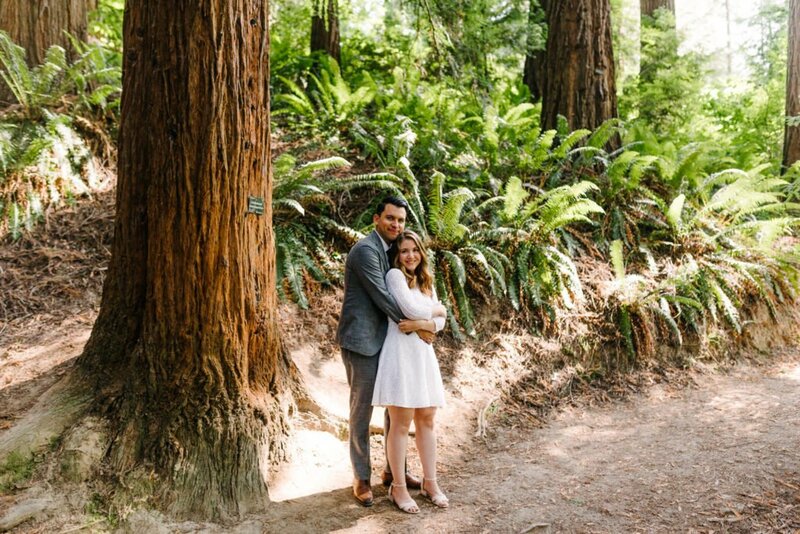 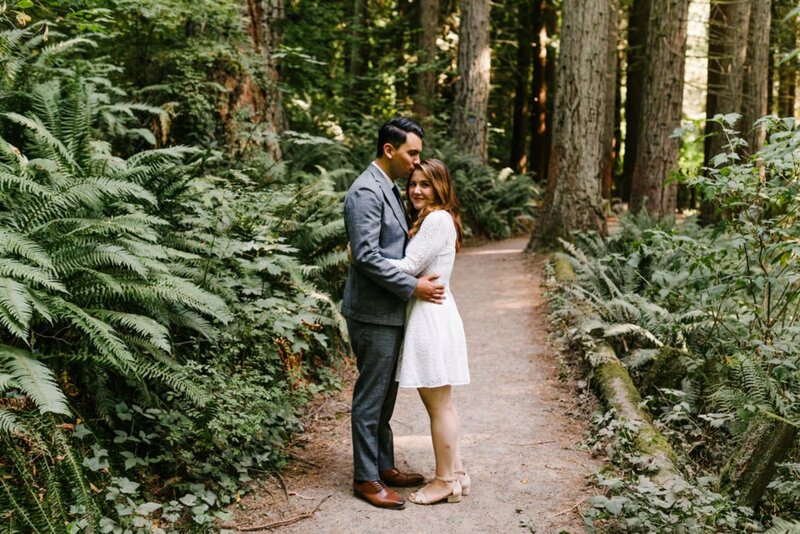 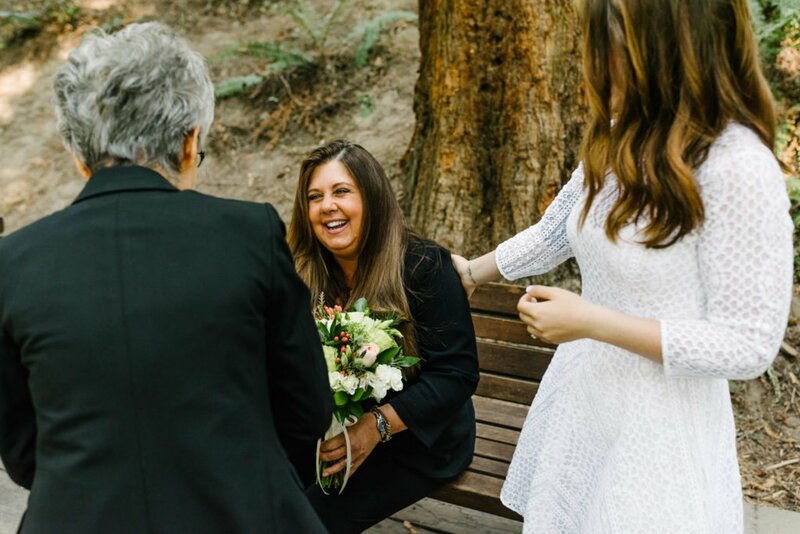 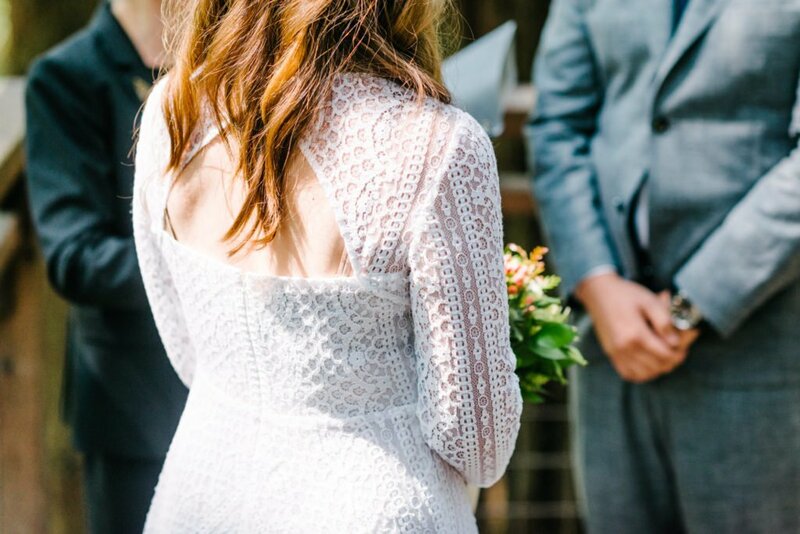 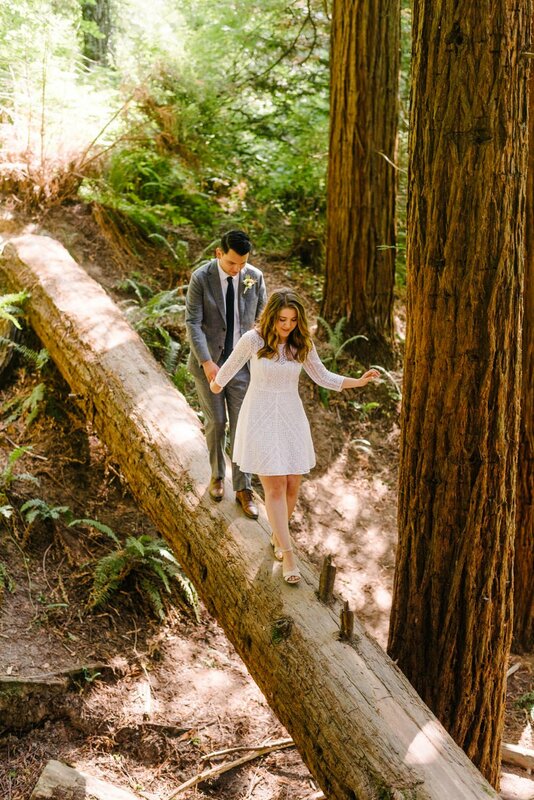 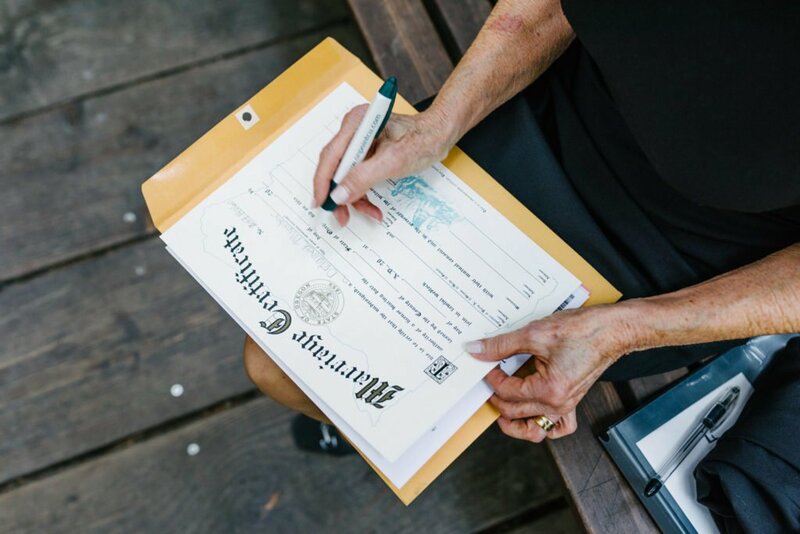 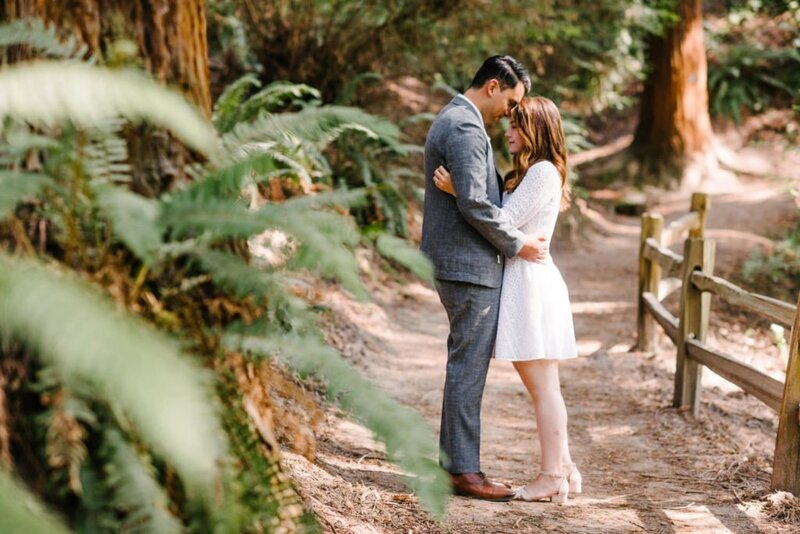 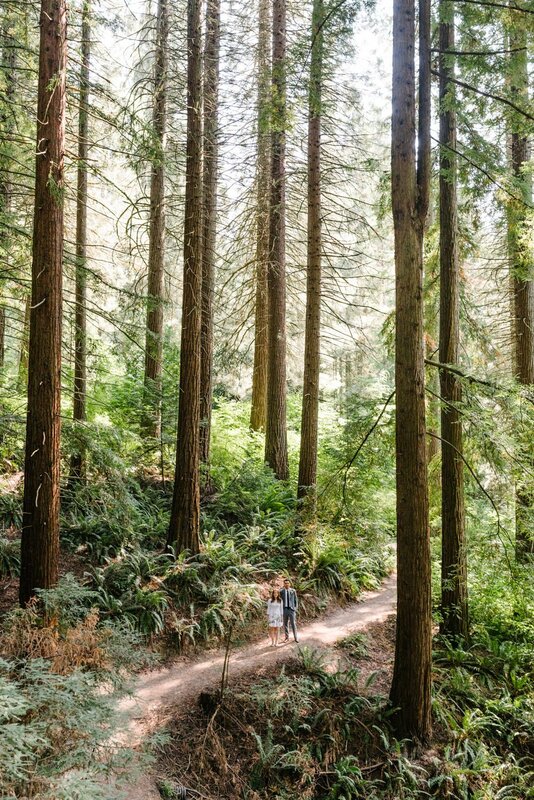 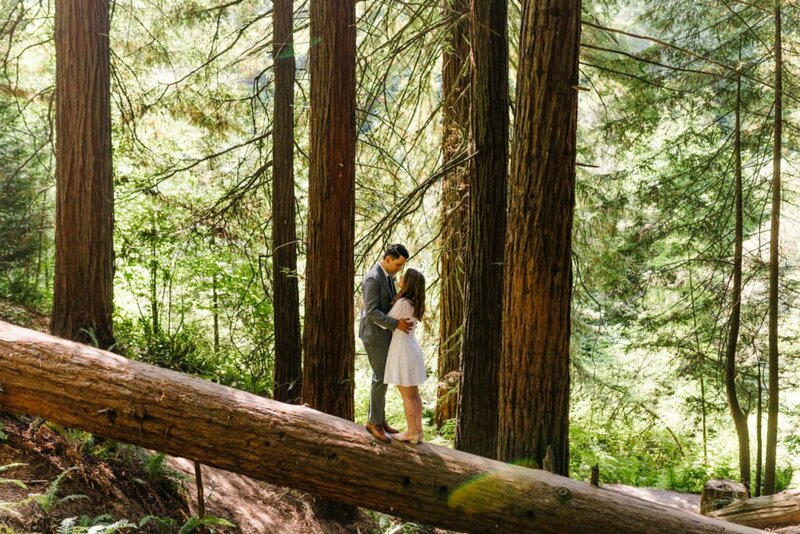 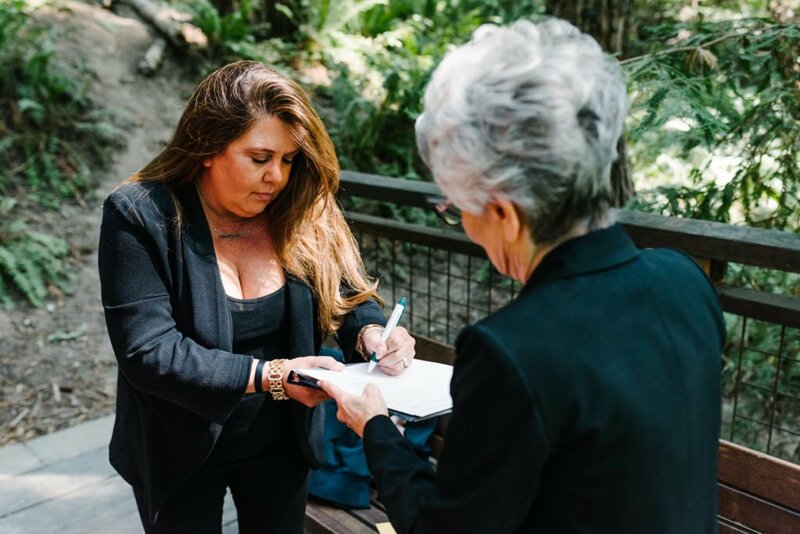 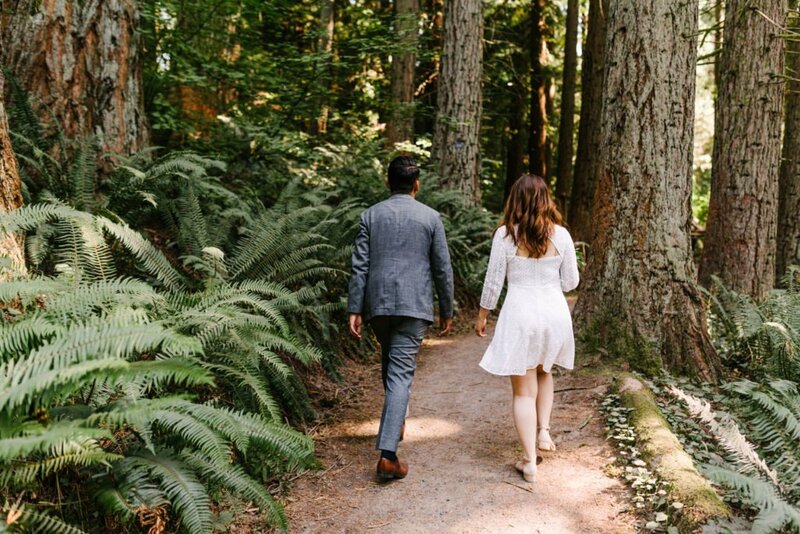 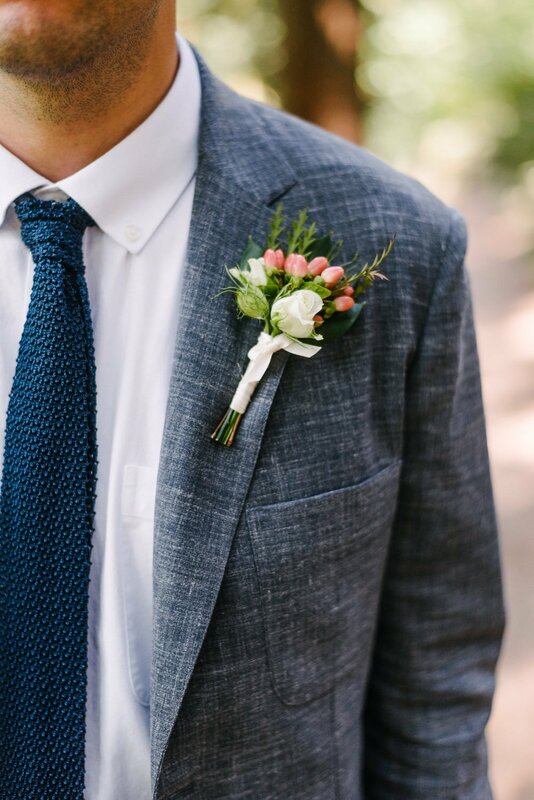 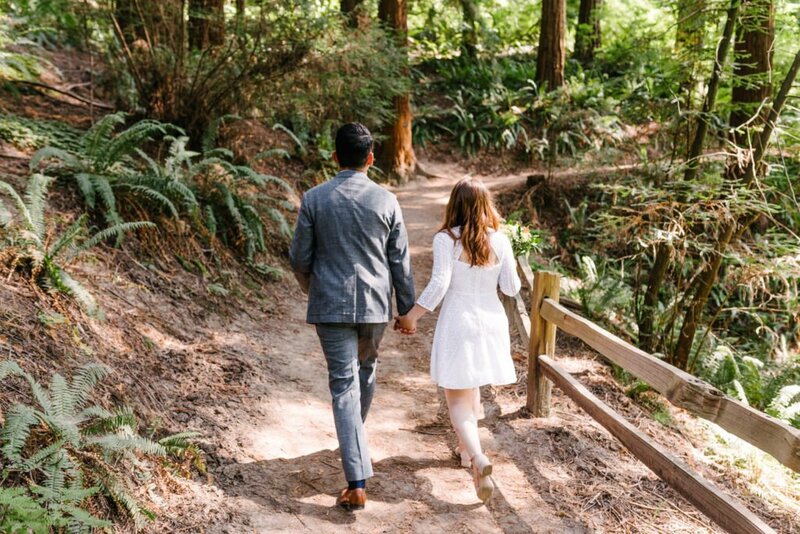 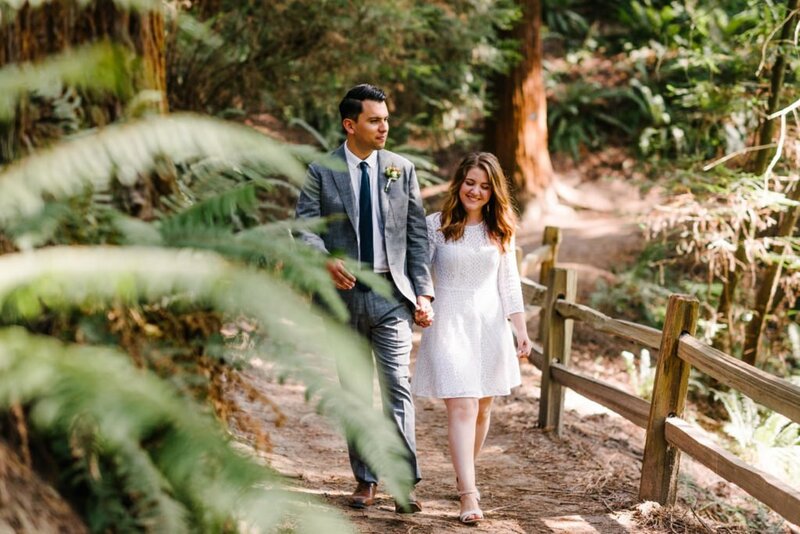 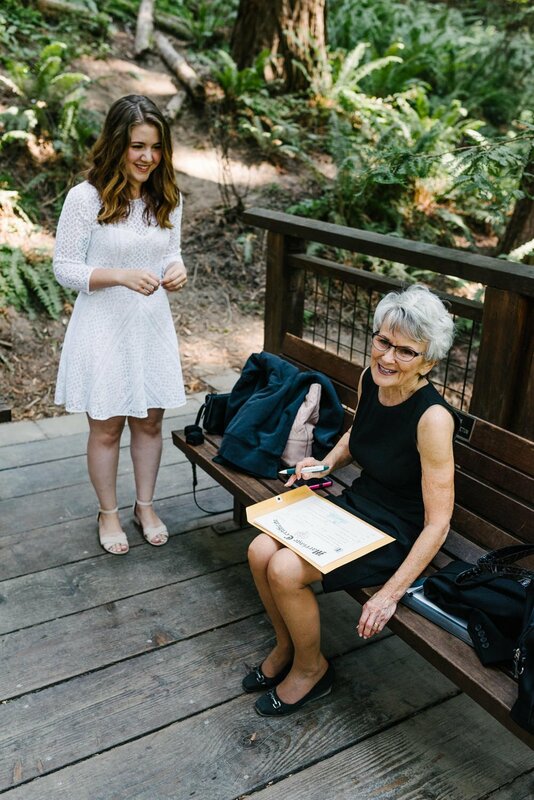 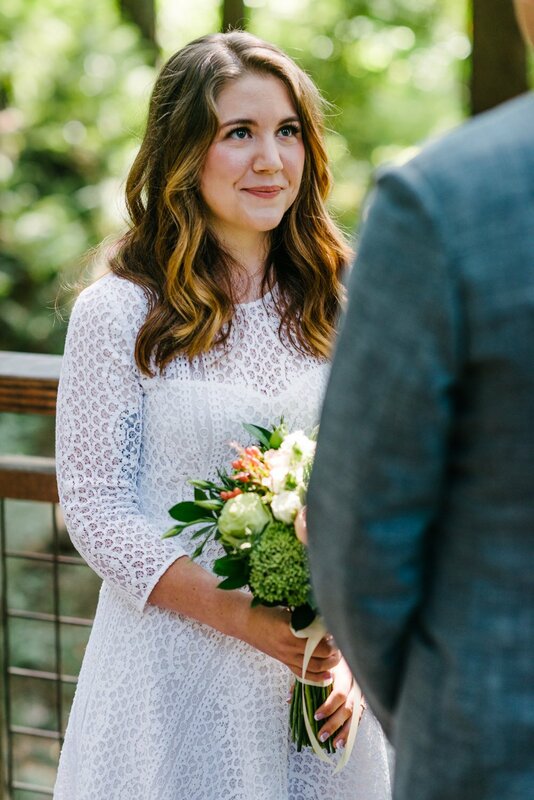 This Hoyt Arboretum Elopement was just as simple and beautiful as elopements get. 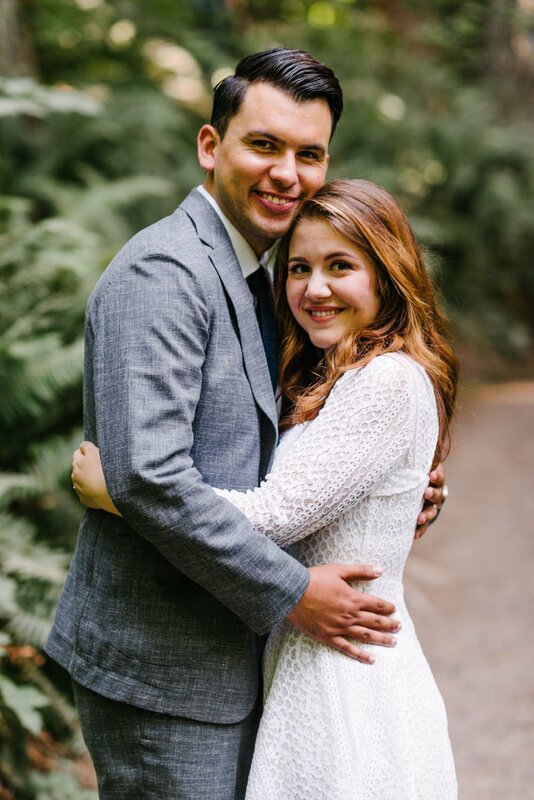 Jaime and Alex moved up from Southern California a few years ago to get the Portland experience. 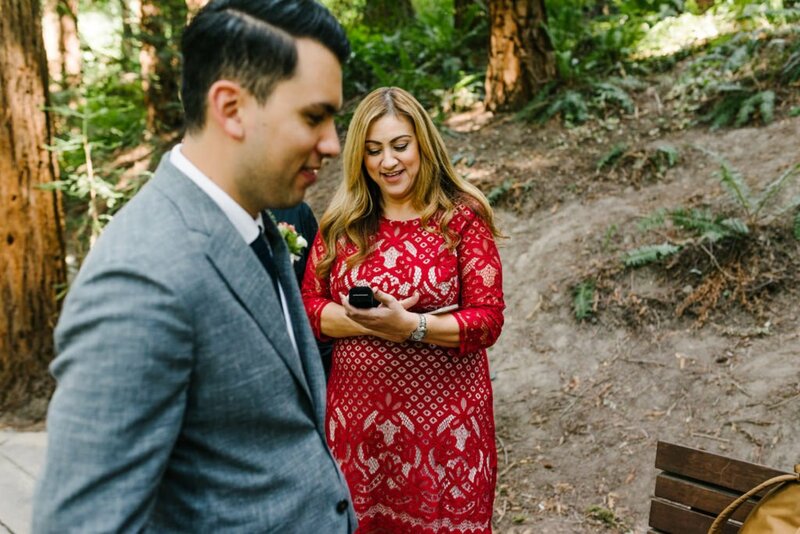 Alex is a graphic designer so when he reached out to me it’s always a good feeling to be respected by someone who works in the visual creative field. 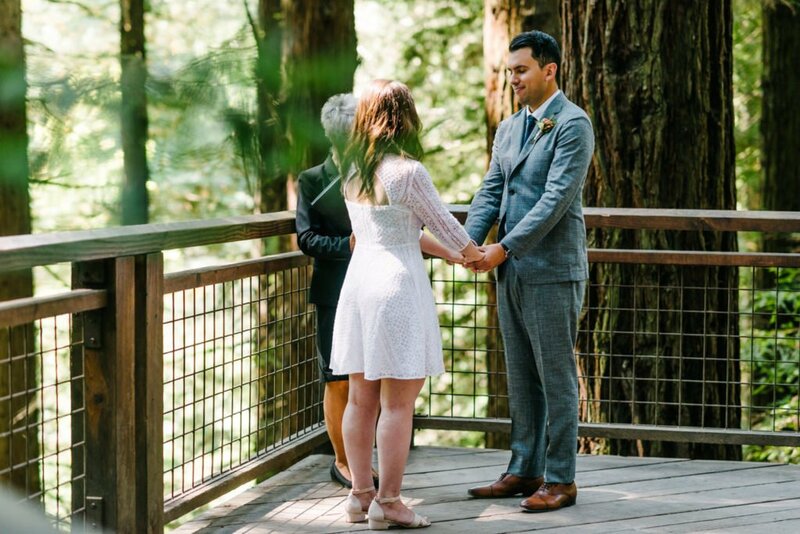 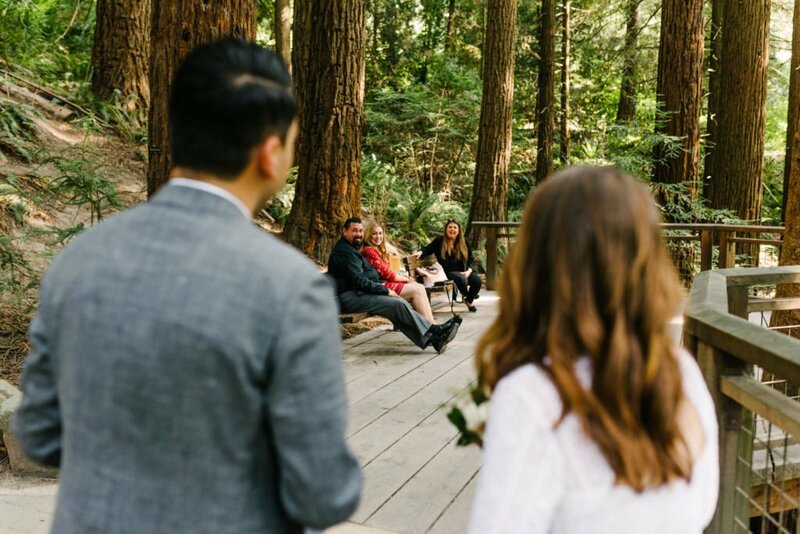 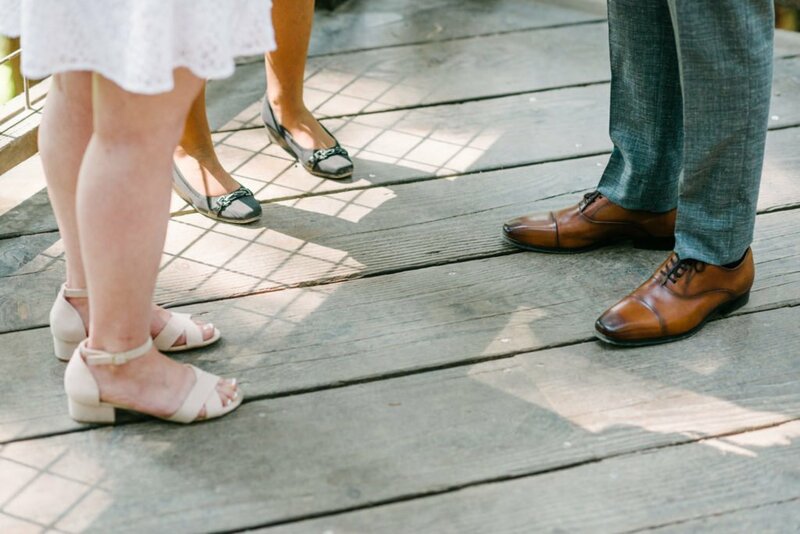 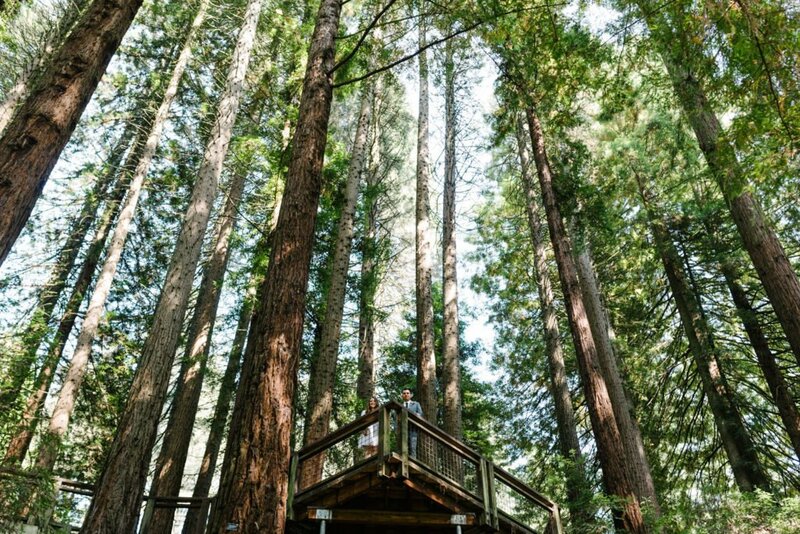 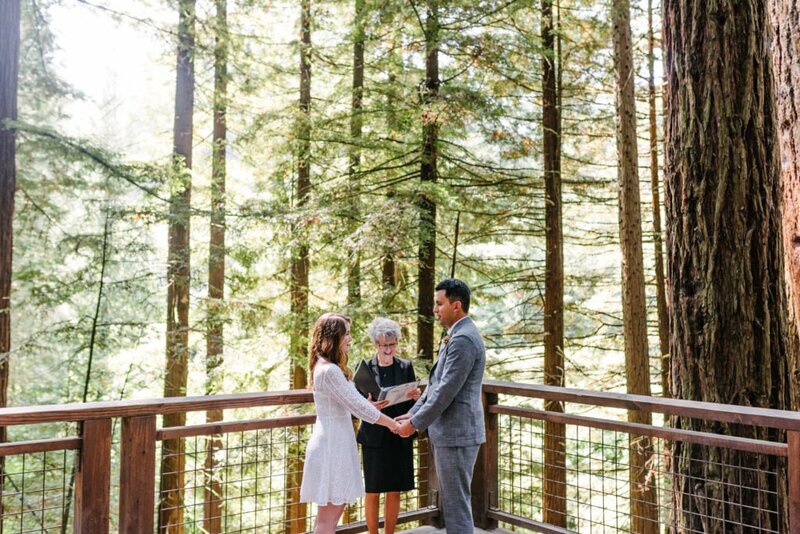 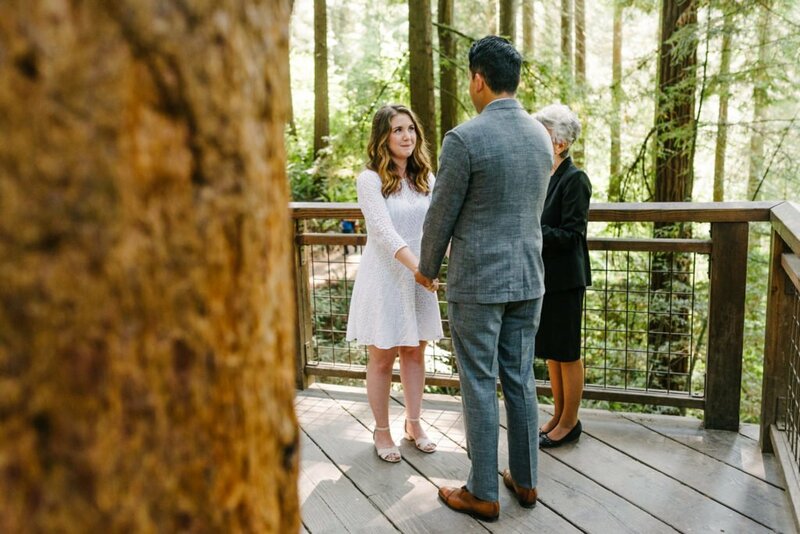 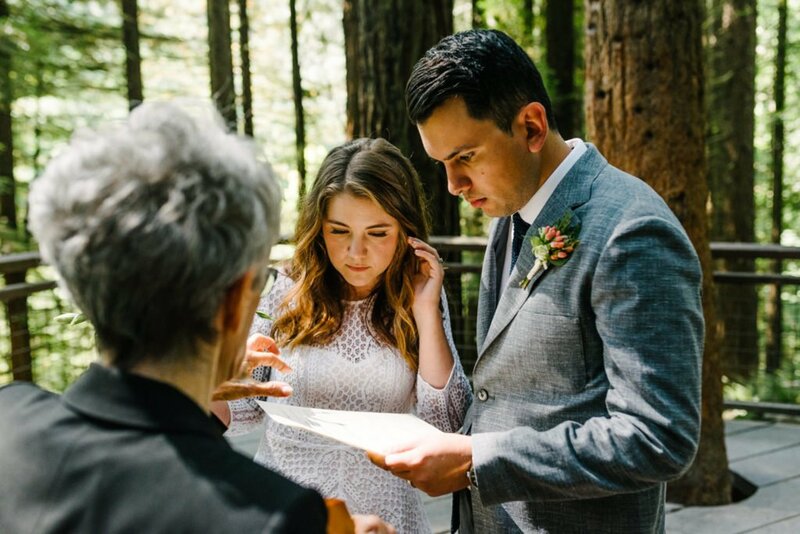 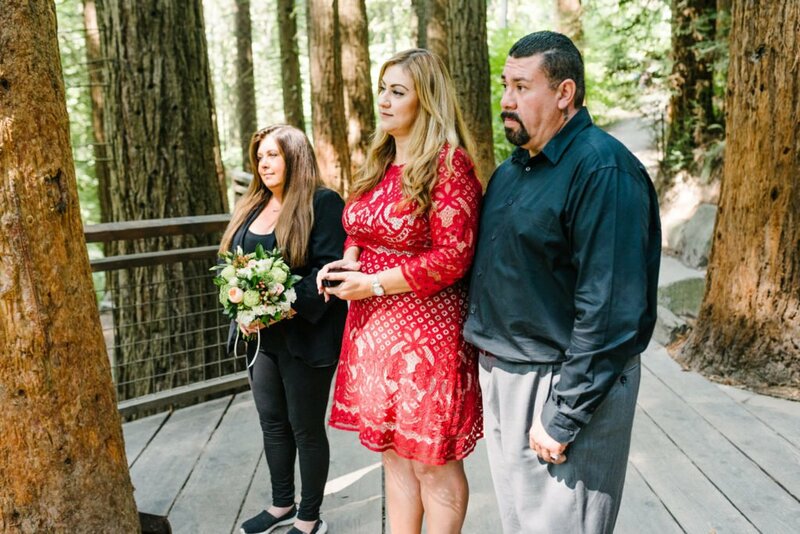 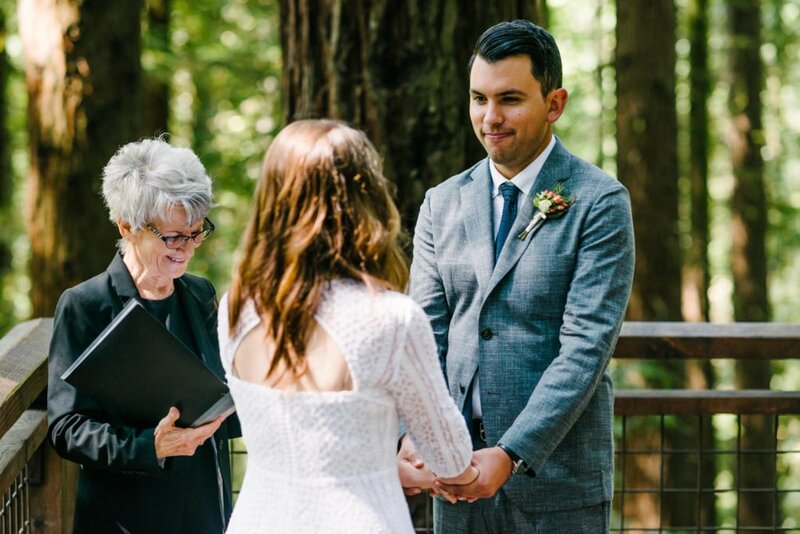 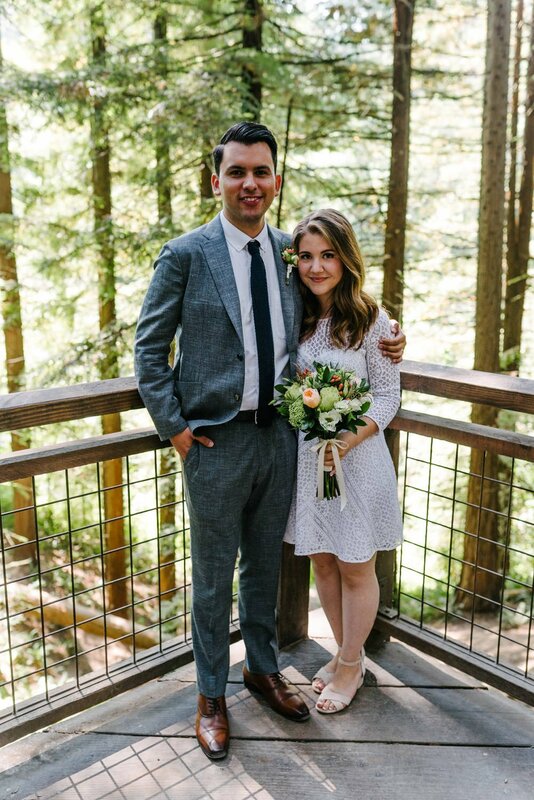 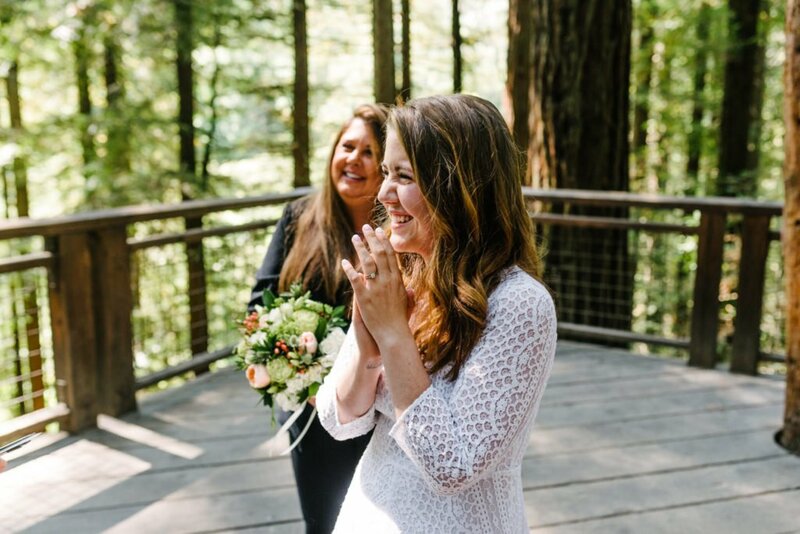 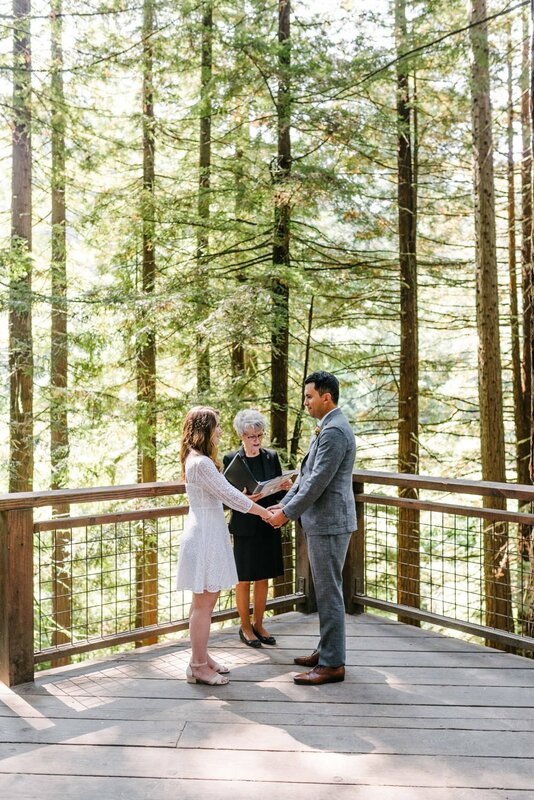 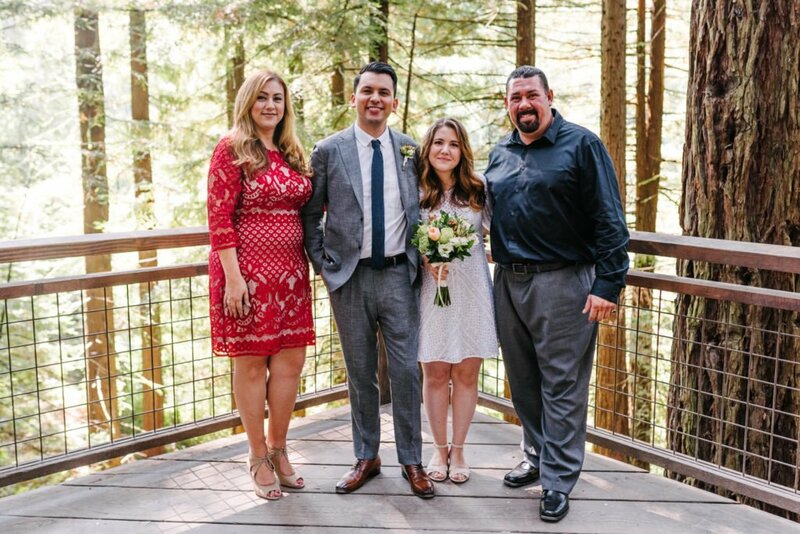 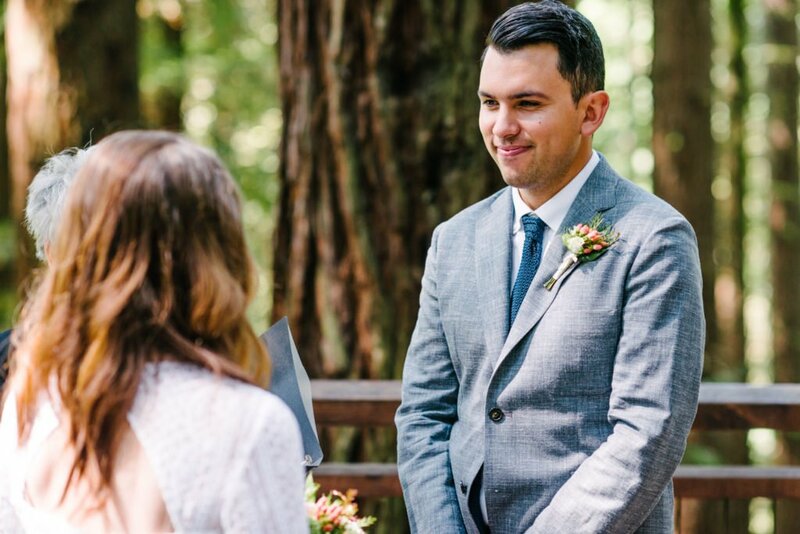 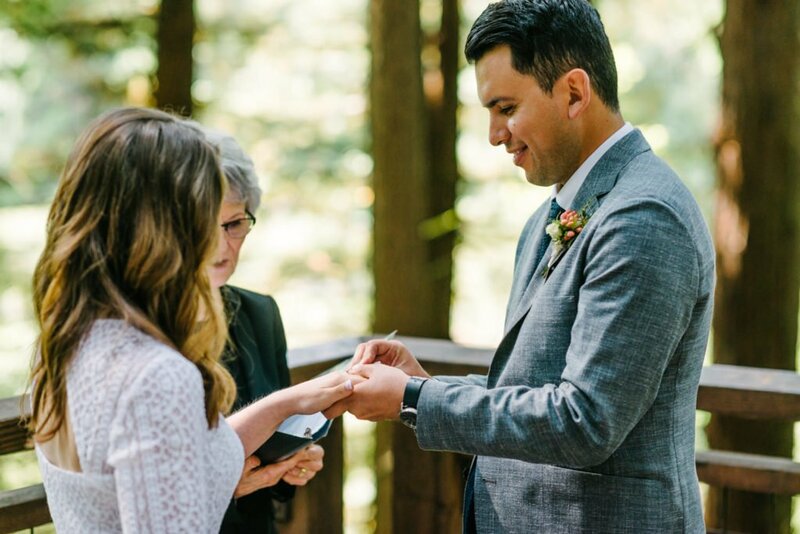 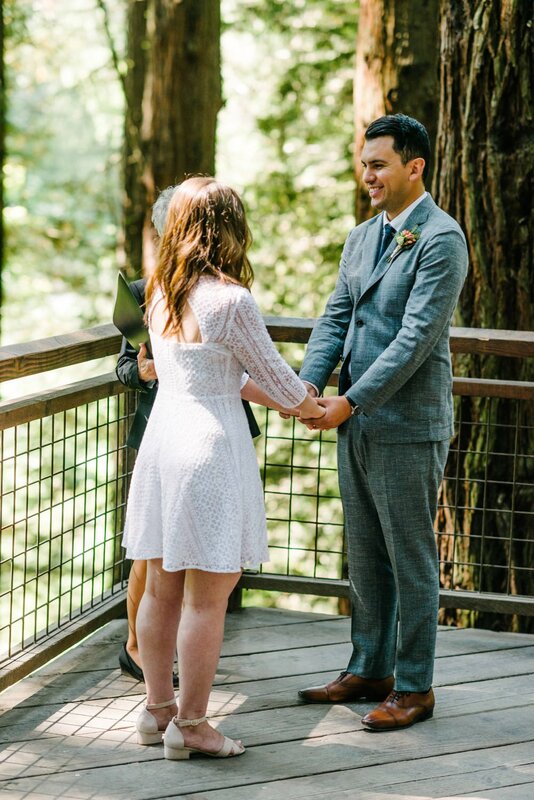 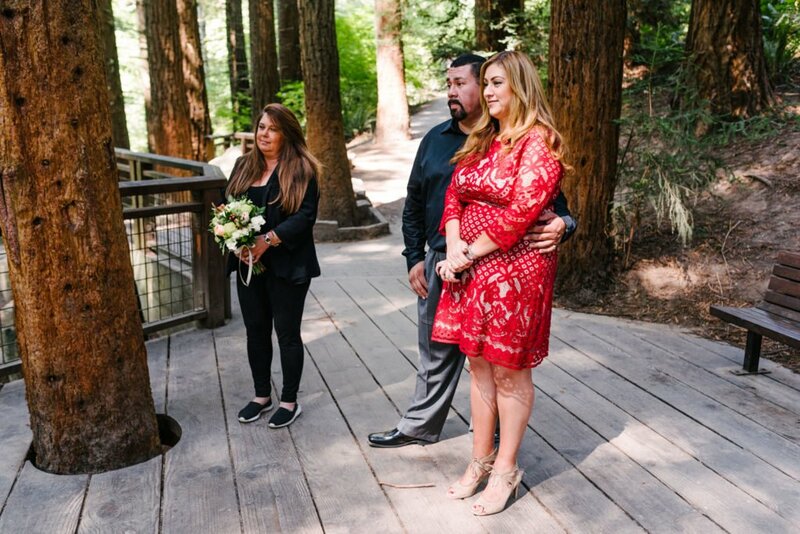 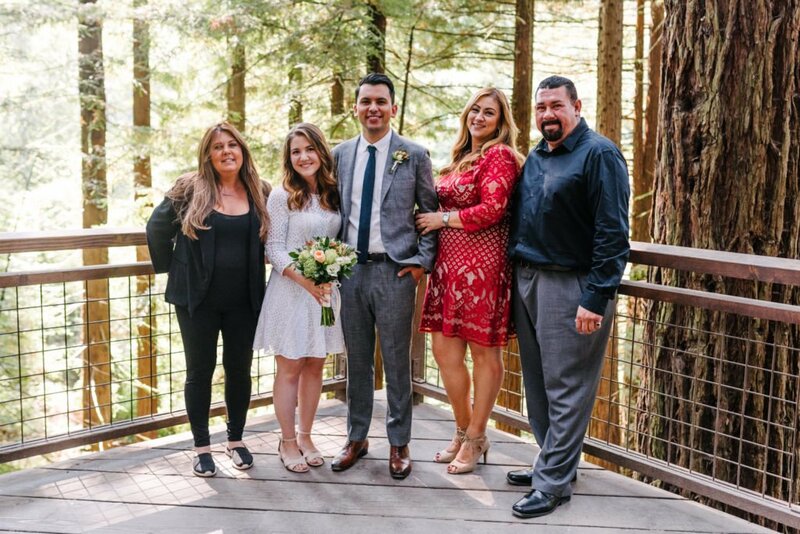 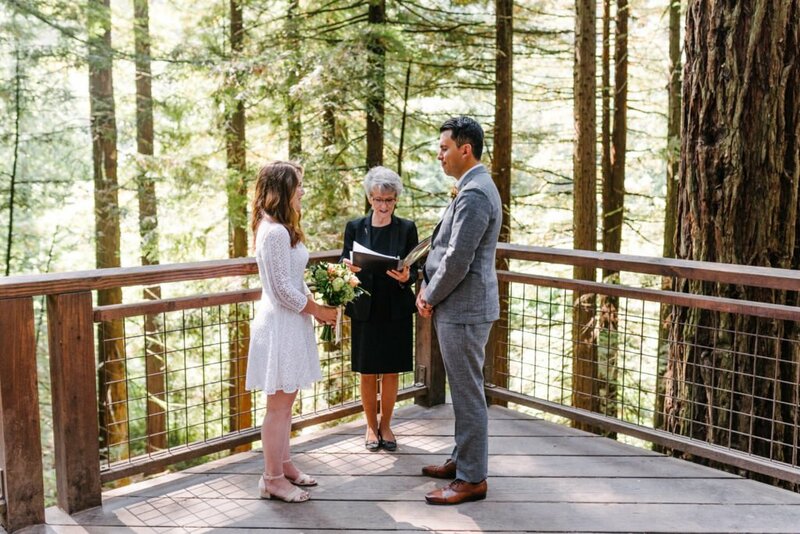 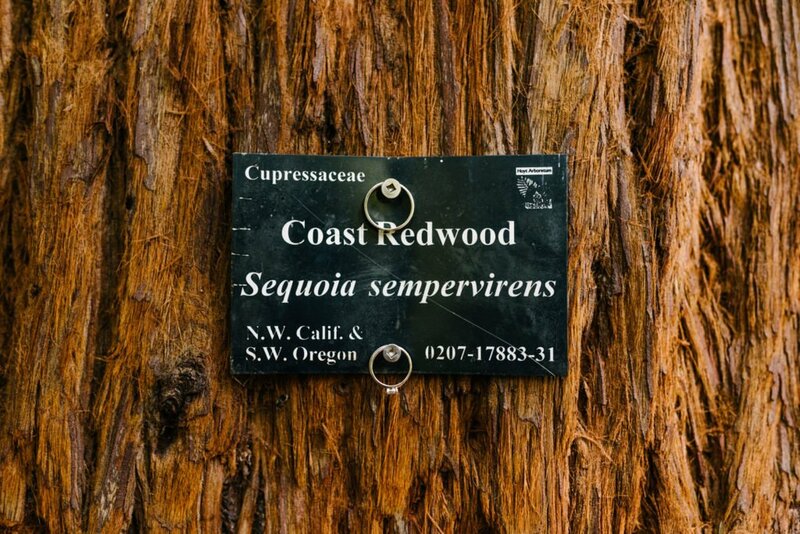 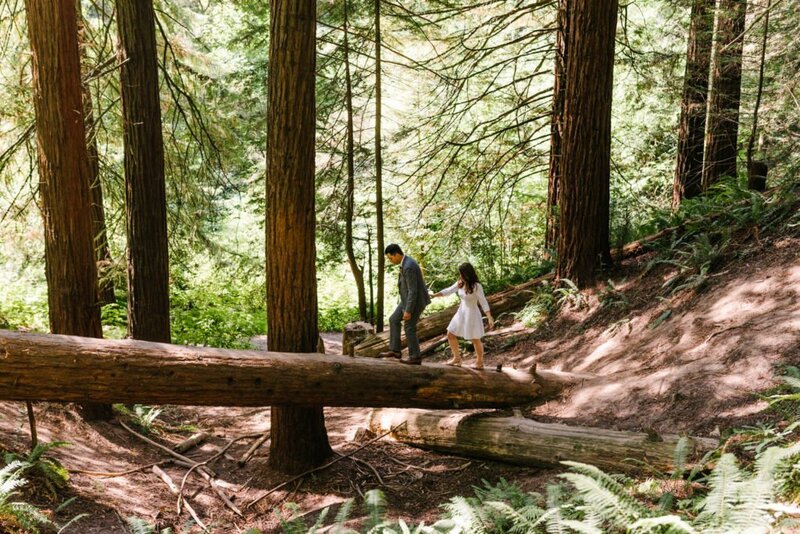 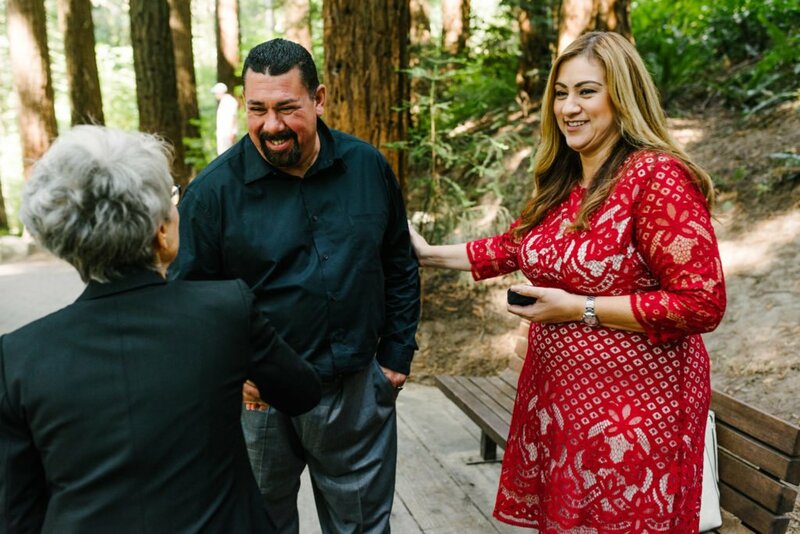 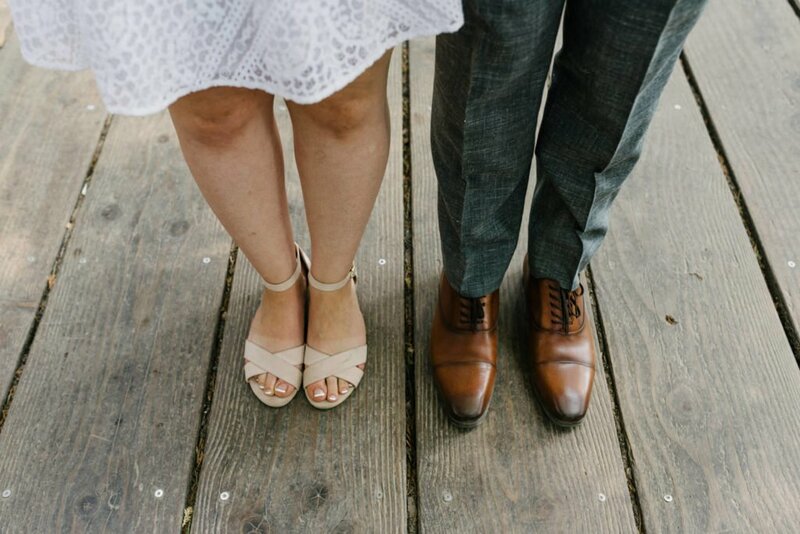 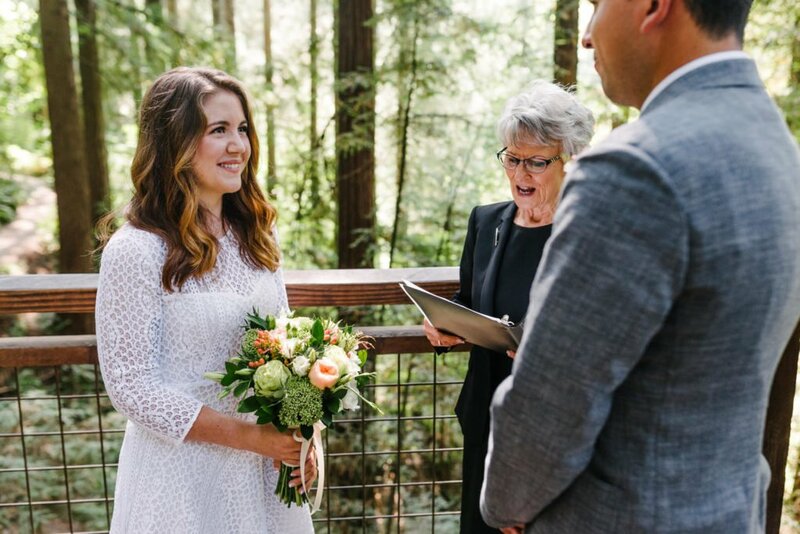 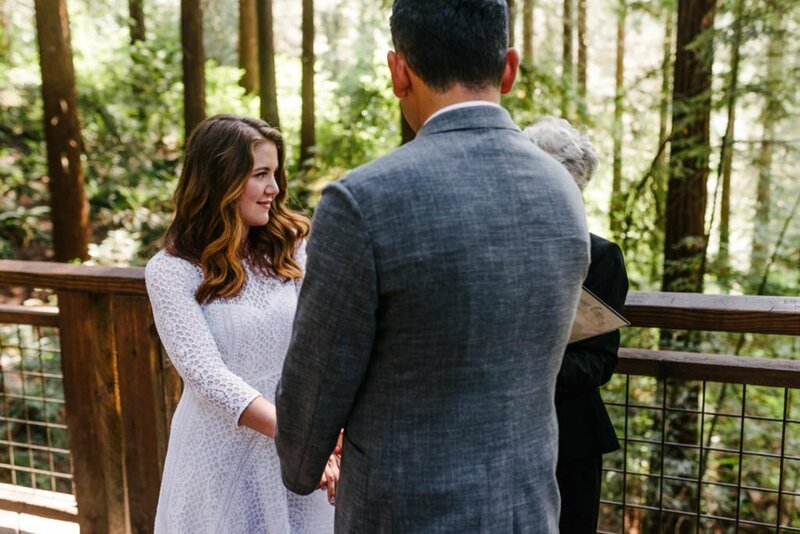 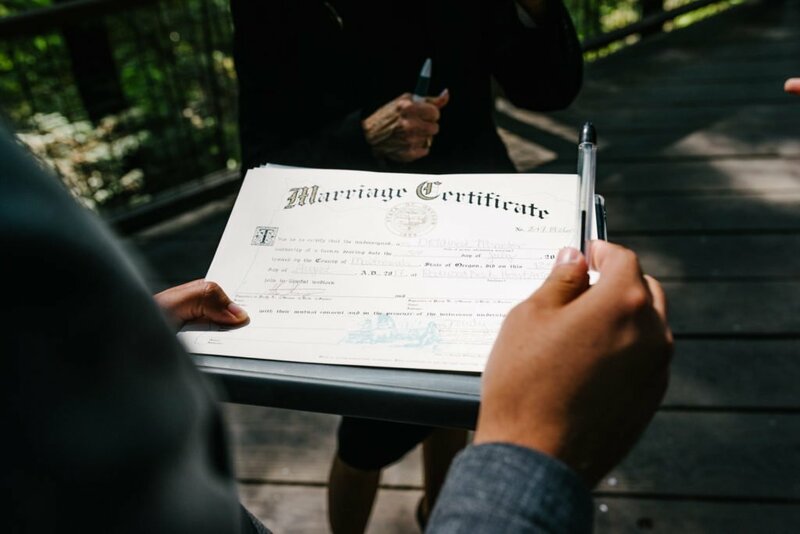 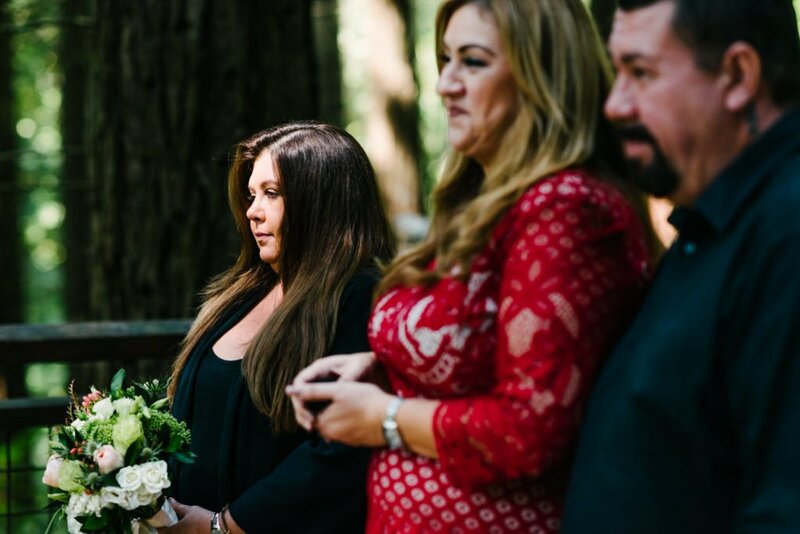 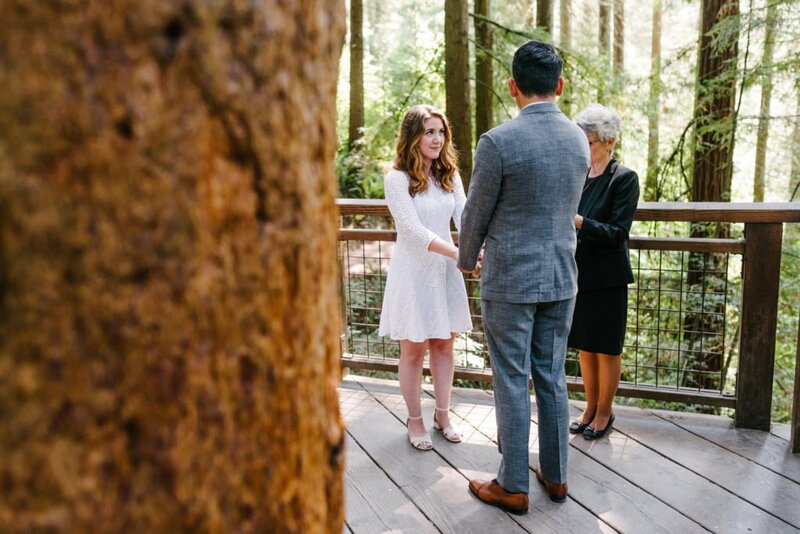 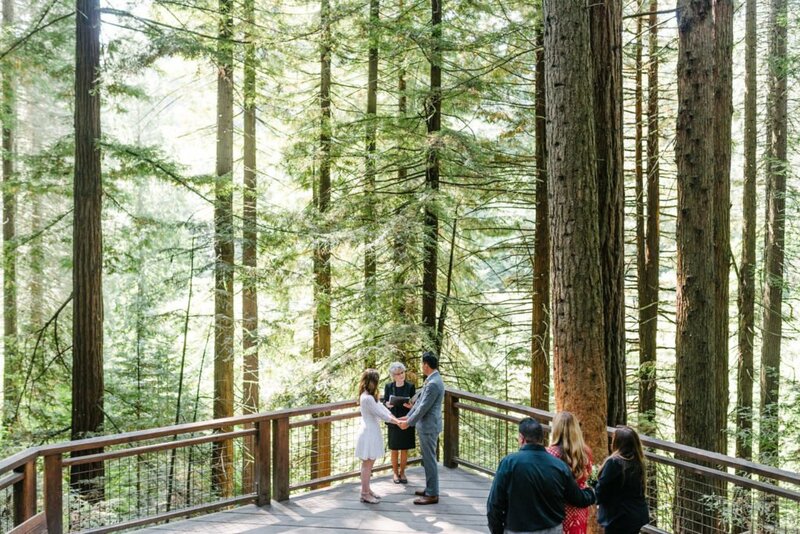 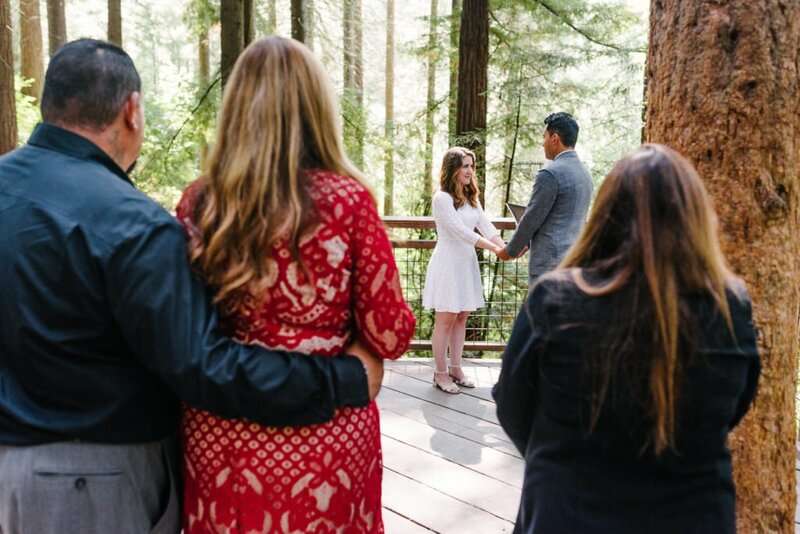 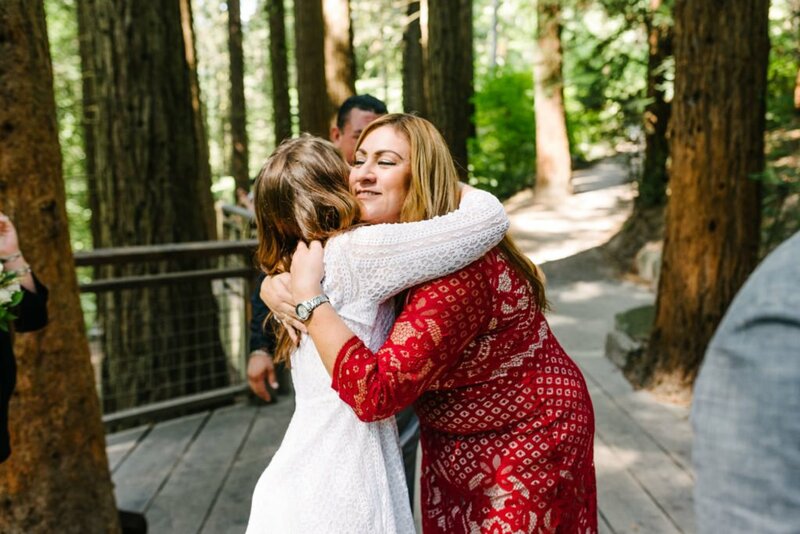 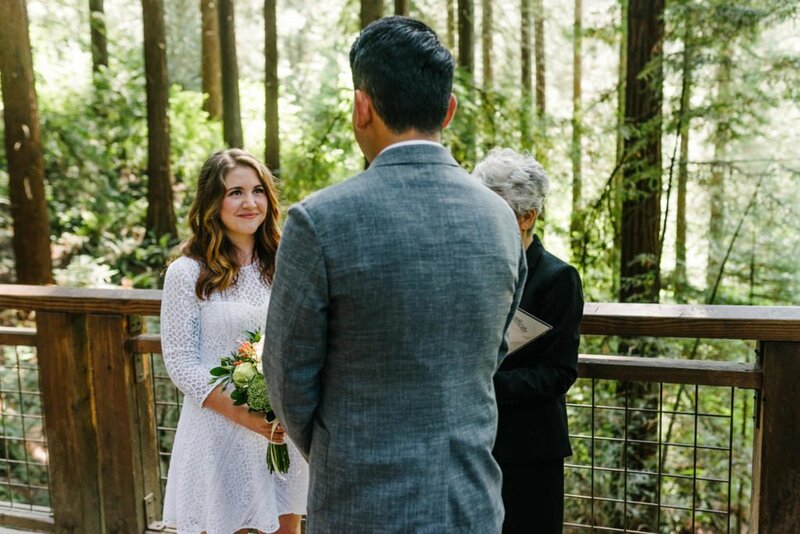 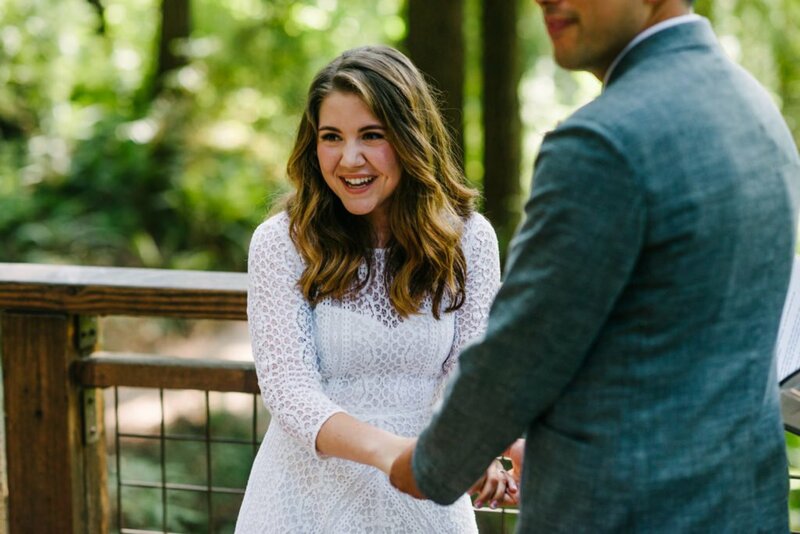 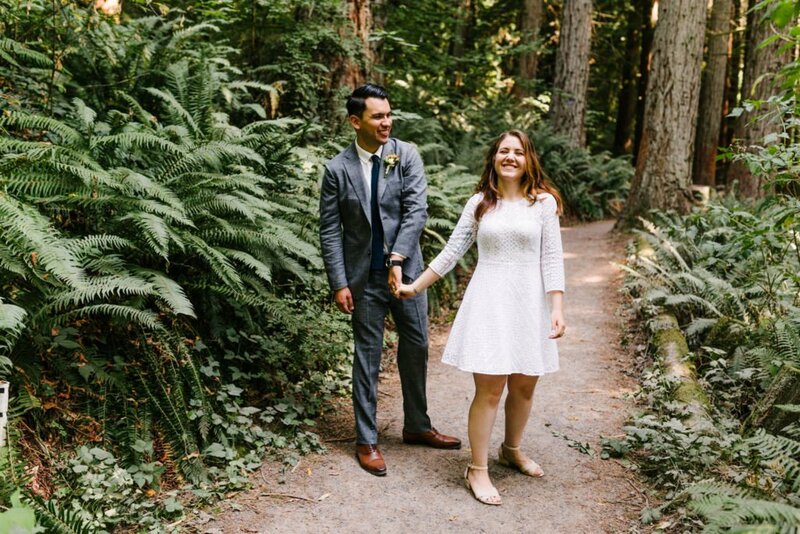 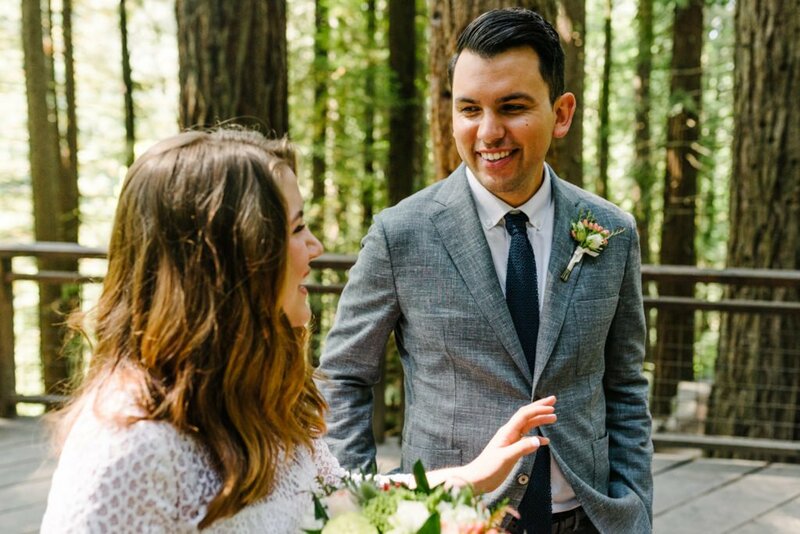 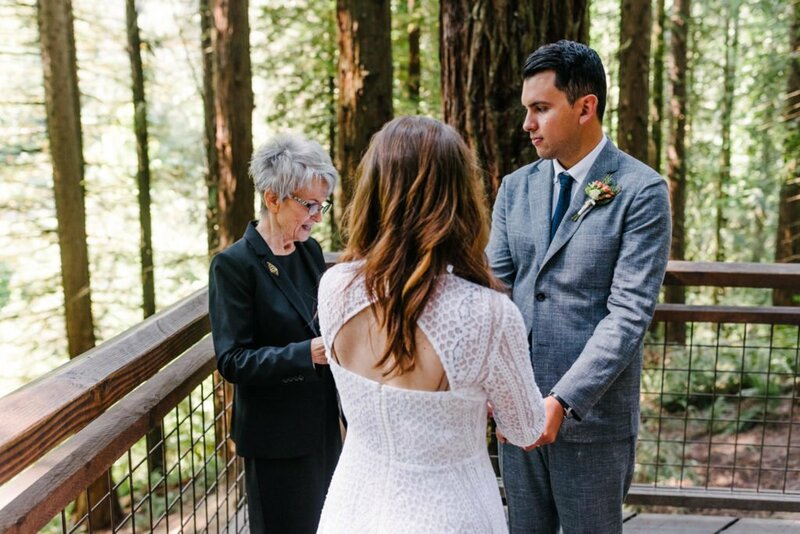 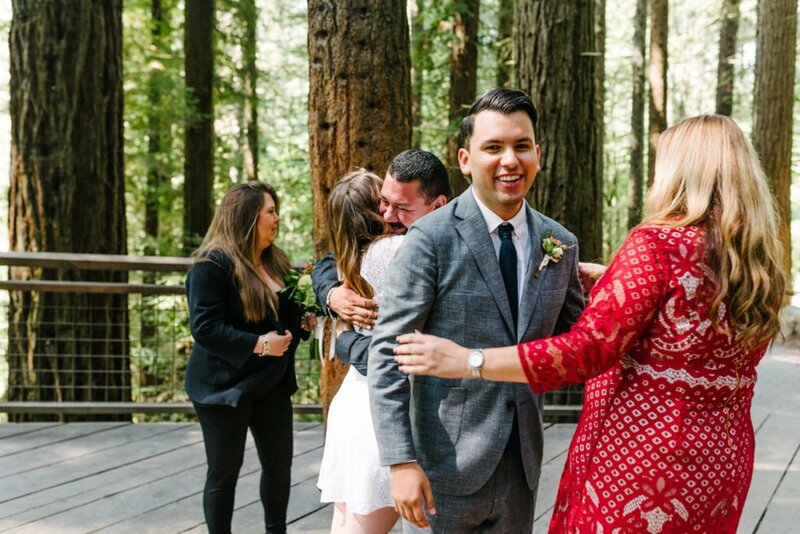 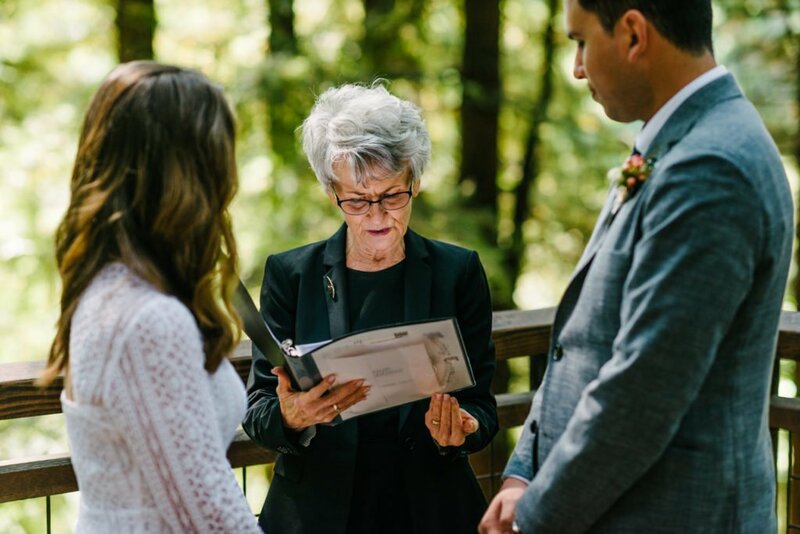 They eloped with just their parents at the Redwood Deck in Hoyt Arboretum which sits in the forested parks above downtown Portland. 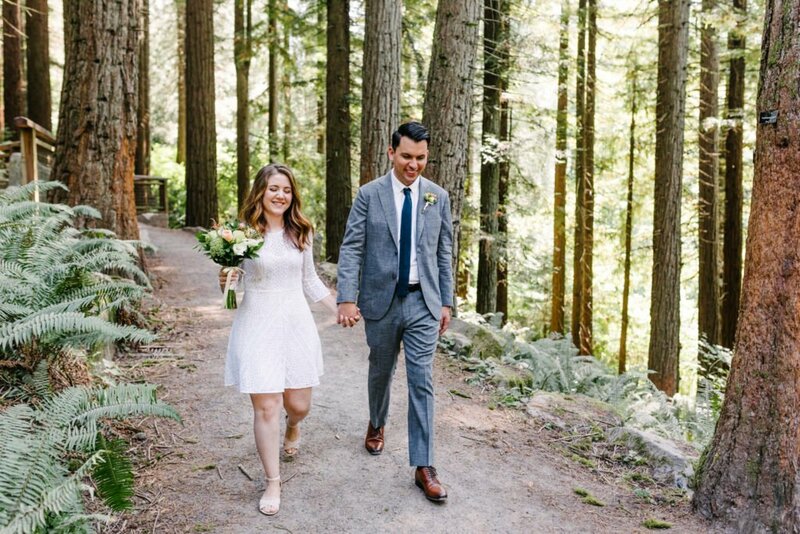 We had the whole place to ourselves minus a few hikers that would occasionally pass by and offer their congratulations. 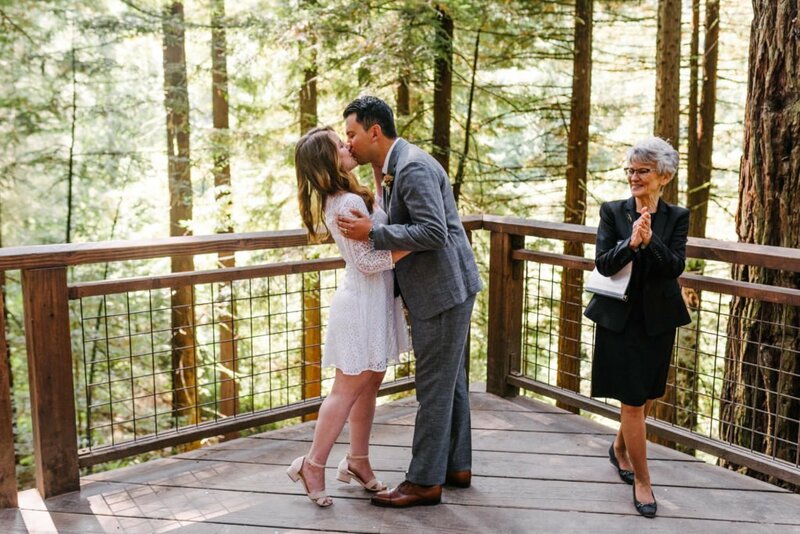 The ceremony itself was short and sweet(just the way I like them). 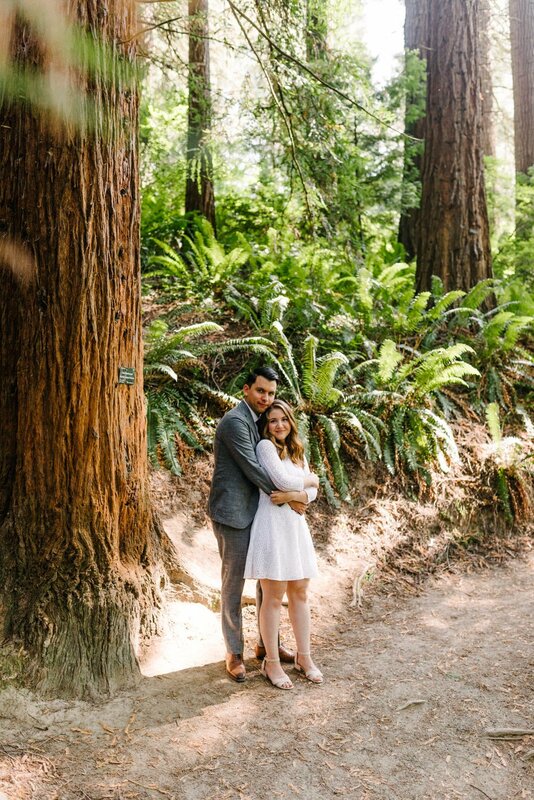 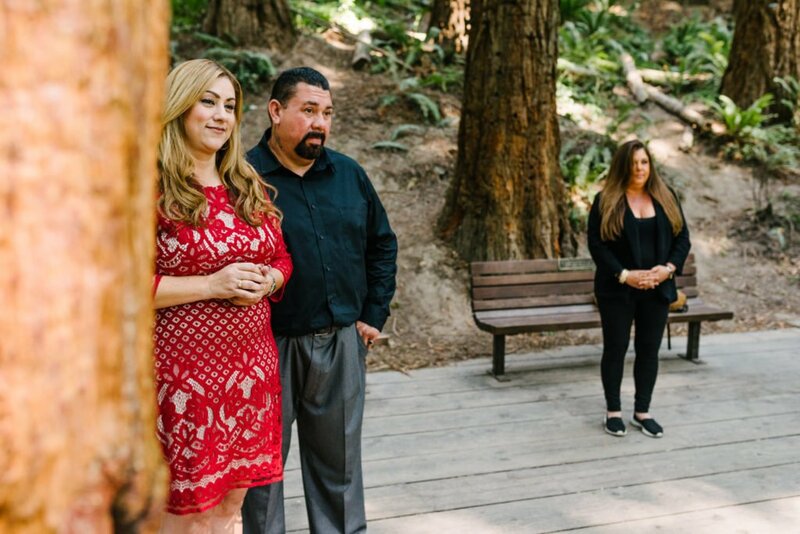 Jaime and Alex said their vows with family present and we did a short portrait session right afterwards among the redwoods. 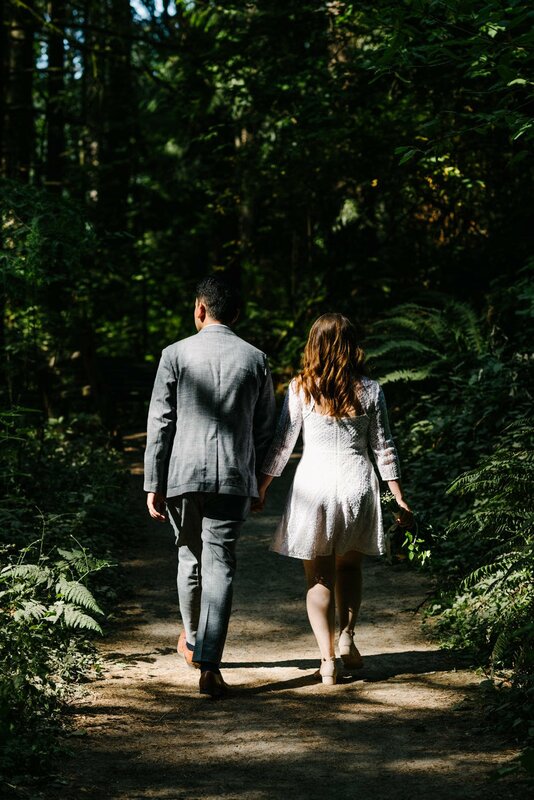 The way the light trickles through the trees made for some beautiful, warm, golden light which I love. 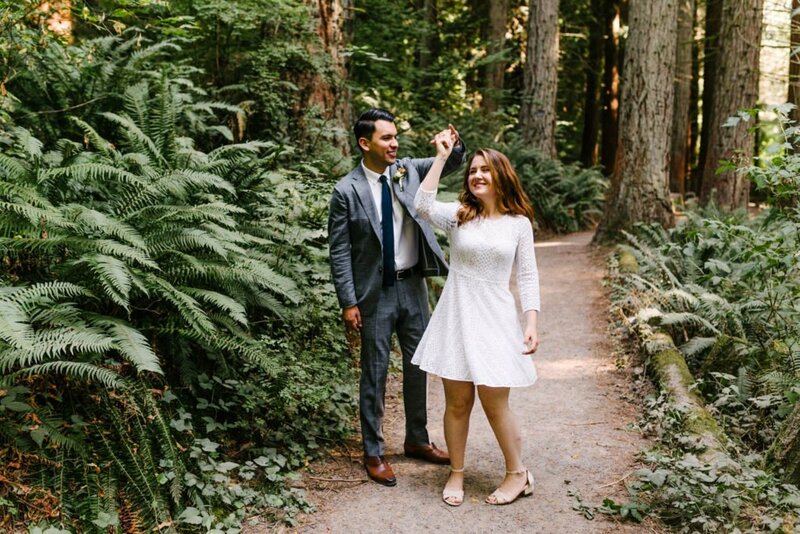 We had a blast during this elopement. 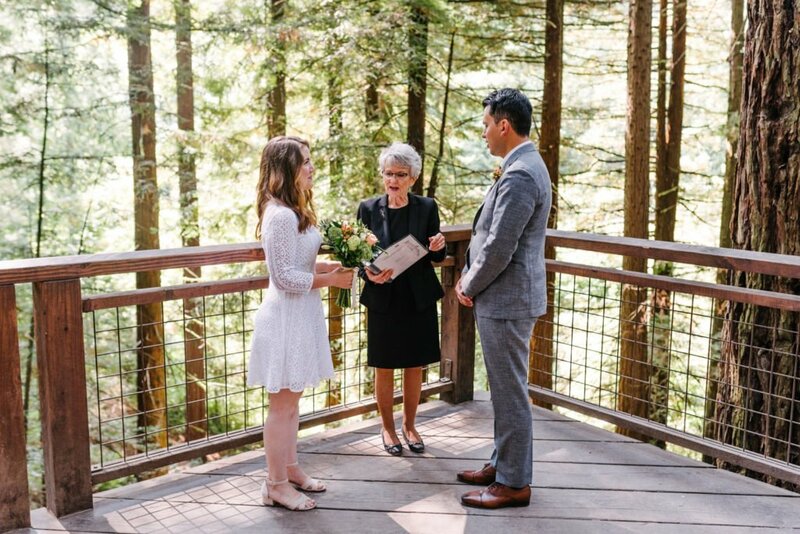 It was so simple and beautiful. 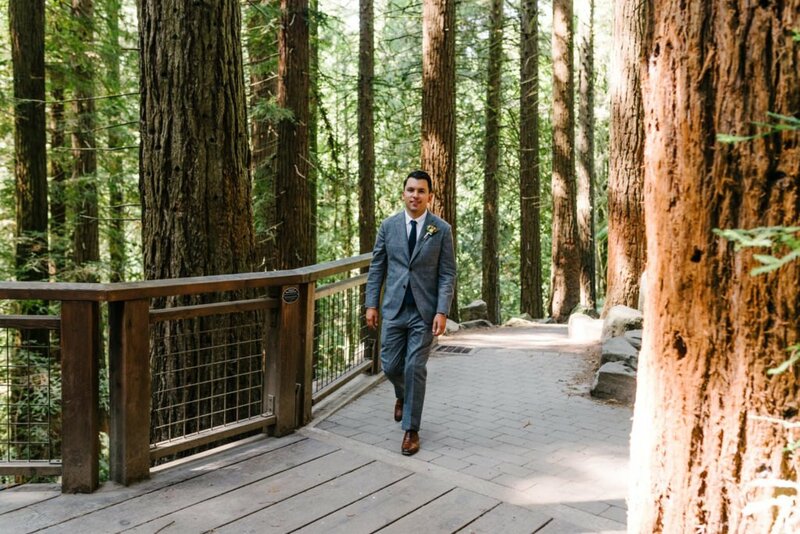 Just the perfect amount of natural elements combined with formal. 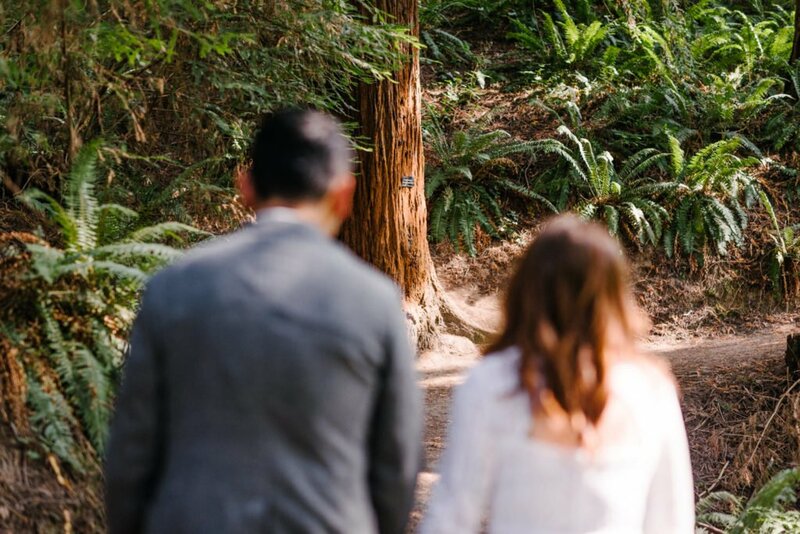 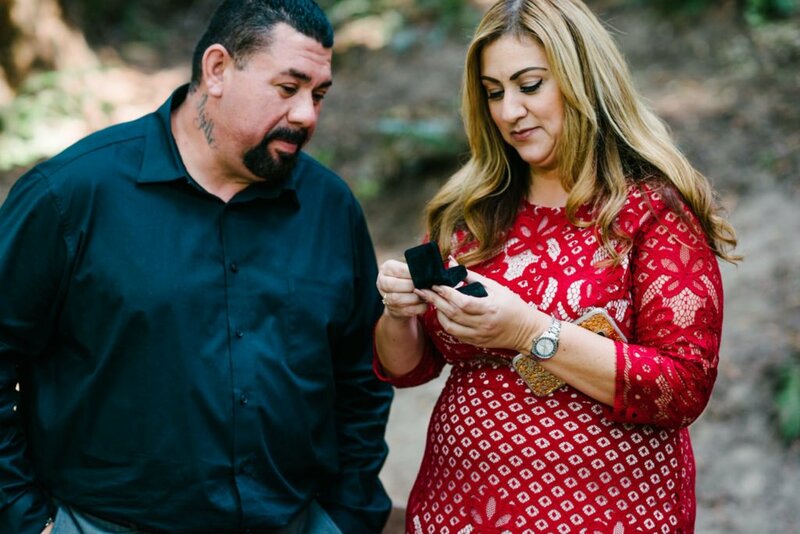 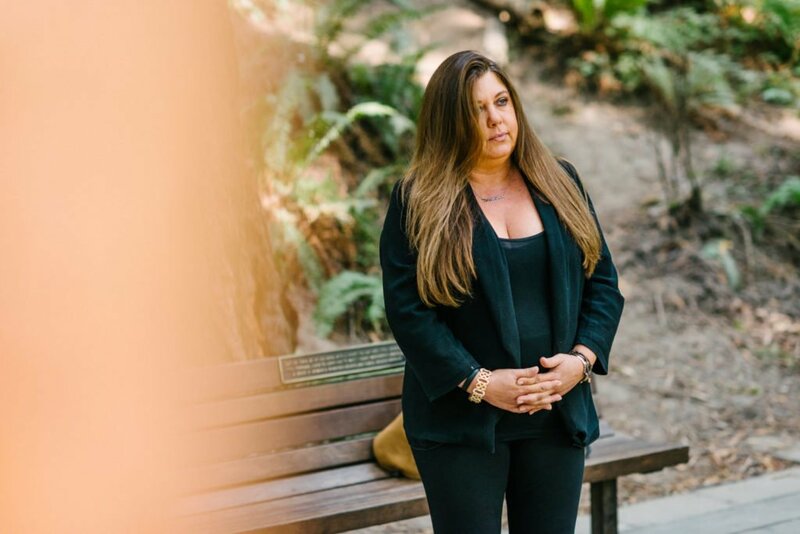 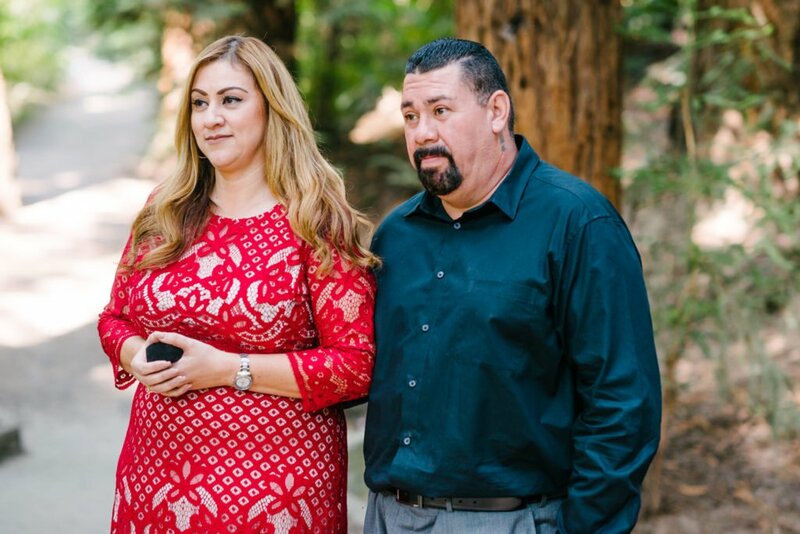 Both Alex and Jaime moved back to southern California the day after this elopement. 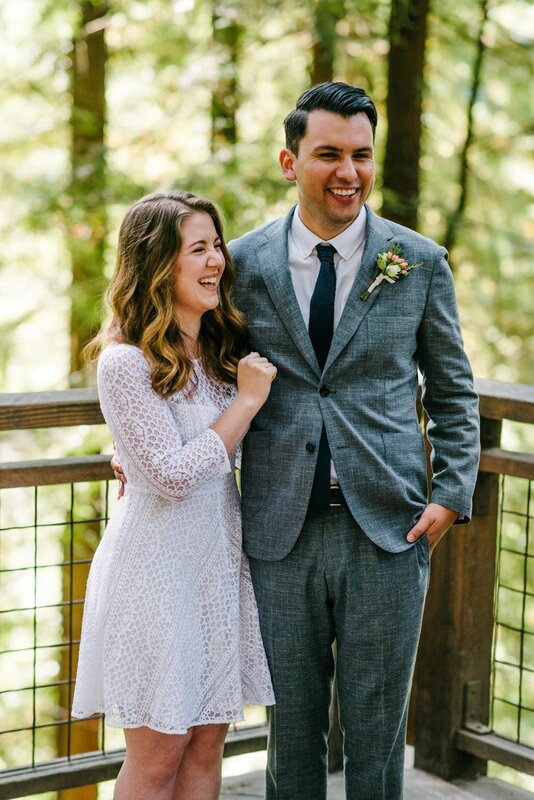 I was so stoked to be able to capture these moments for them before they left.